Cheeta is one of a litter of 8 puppies born around 5/29/18. 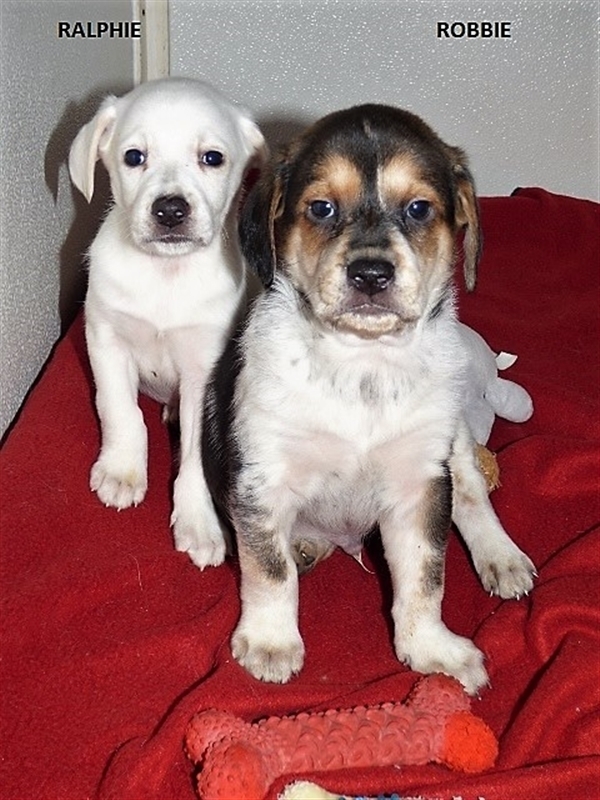 The person who surrendered the litter to a high-kill shelter when the pups were just 8 weeks old said only that the mama dog was a Jack Russell Terrier. The breed of the father (or fathers) is unknown. It's been a real joy watching Cheeta and her siblings grow up from roly, poly waddling pups to sometimes graceful, sometimes clumsy but always adorable young dogs! 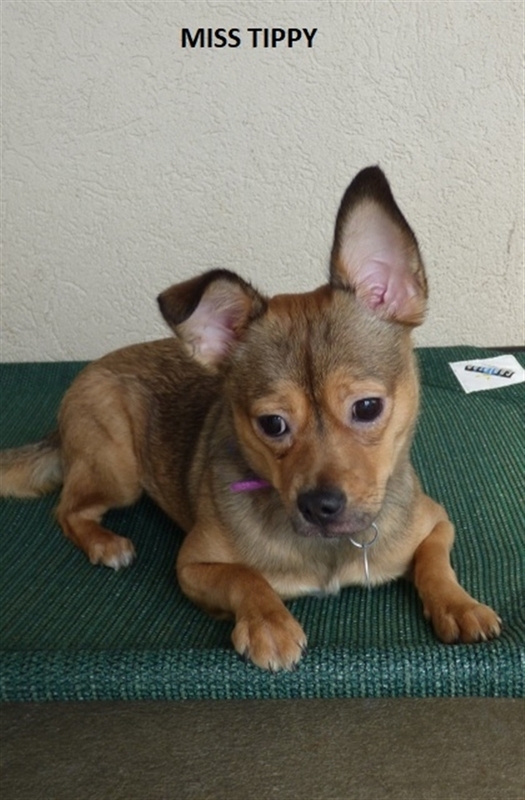 Like most pups, Cheeta is full of energy and has a playful personality once she's comfortable. One of the smaller pups in the litter, Cheeta is also a little more timid than some of her siblings. She's very loving but it takes her a little longer to become comfortable around new people/situations/surroundings. 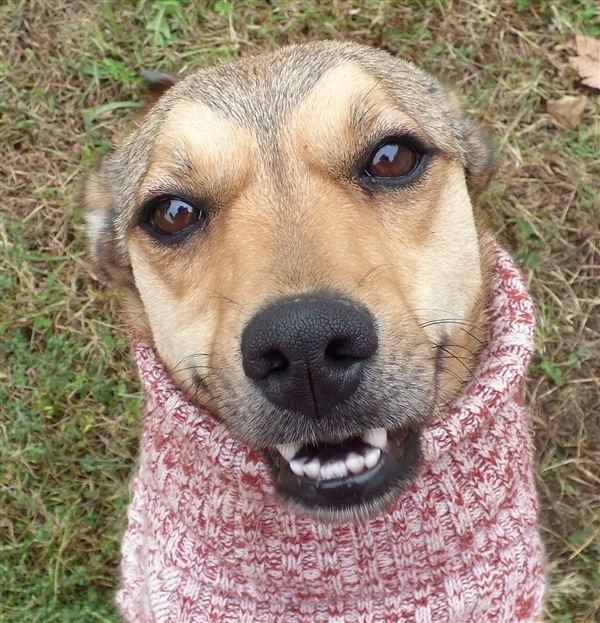 Cheeta also needs some leash-work but, thanks to our awesome dog-walkers, she is getting better at this every day. A group obedience class and maybe one or two private training sessions would probably help Cheeta build up her confidence and comfort level. 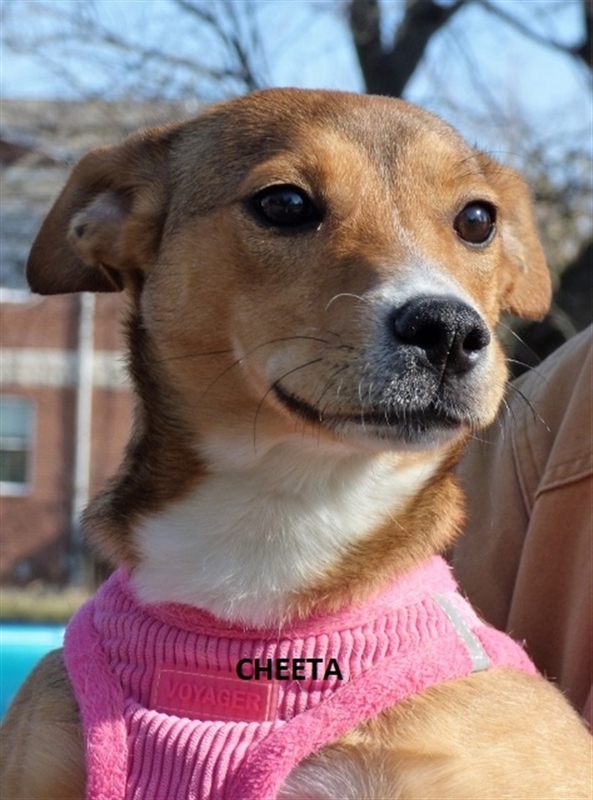 She uses the newspaper in her kennel but, because a shelter is a completely different environment than a house, Cheeta's new owner should have the patience, time and experience to work with her on house-training if it proves necessary. Feeding her and taking her outside for walks and potty breaks on a consistent schedule is key as she has proven here that she quickly adapts to a routine. Cheeta has had all her vaccinations (including the canine flu), is spayed, micro-chipped and on monthly flea and heartworm preventatives. If you have room in your heart and home for this sweet pup, just stop by the shelter to meet her. 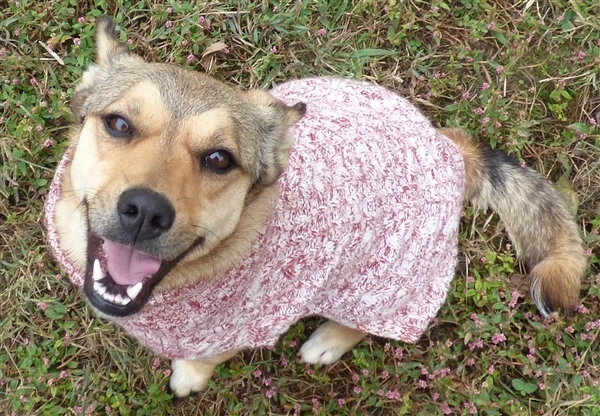 She ready, willing and able to give her adopter an abundance of love, laughter and happiness! /// CHEETA IS SPONSORED THRU MAY 2019 BY OUR FRIENDS AT OLDFATHER LAW FIRM. 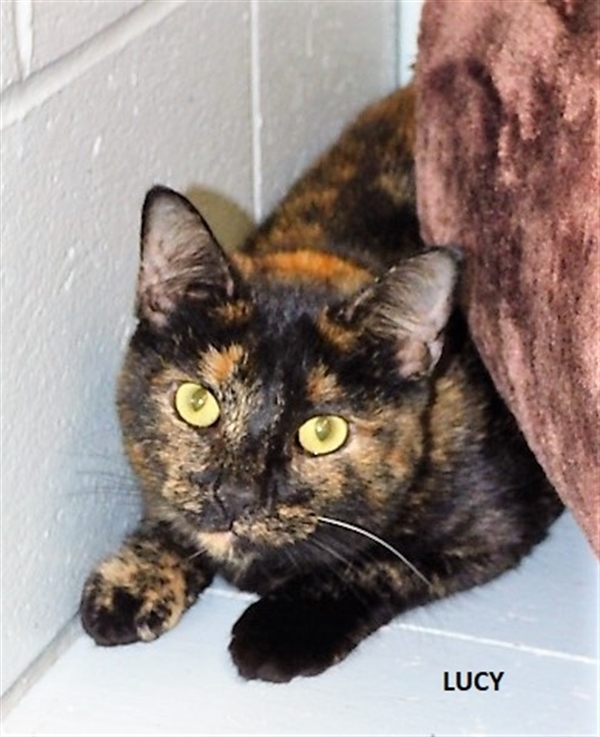 Primary Color: Brown Secondary Color: White Weight: 17.6lbs Age: 0yrs 10mths 2wks Animal has been Spayed I am available for adoption at the Animal Care Society. This handsome young fella lost his home because he played too rough with the young child in the home. 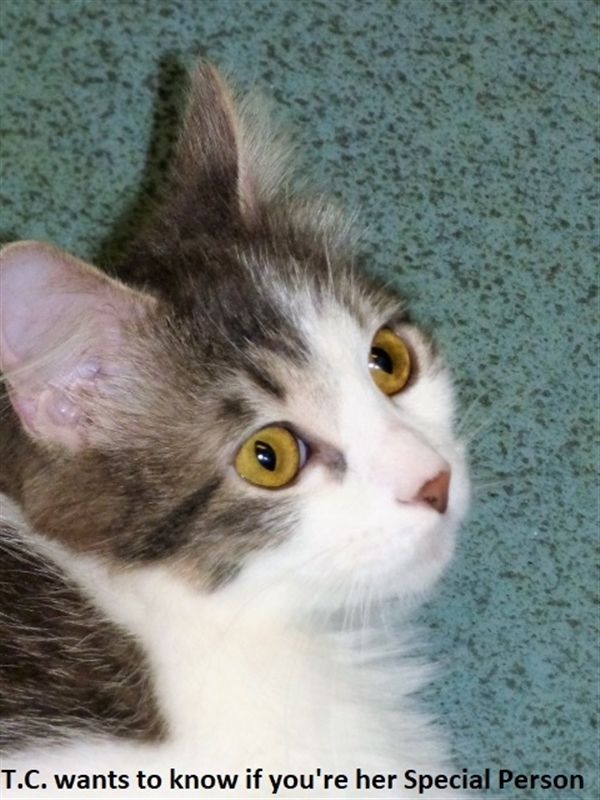 With another baby on the way, Dewey's owners felt it best to go ahead and rehome Dewey. It's a story we hear often and is why we don't like to put young animals in homes with young children. Most of the time, the injuries are just the result of rambunctious play and isn't an indication that the animal is aggressive. Since Dewey's a pretty friendly kitten, we think that's the case here. Still, whether the scratches are intentional or accidental, they still hurt tender young skin. 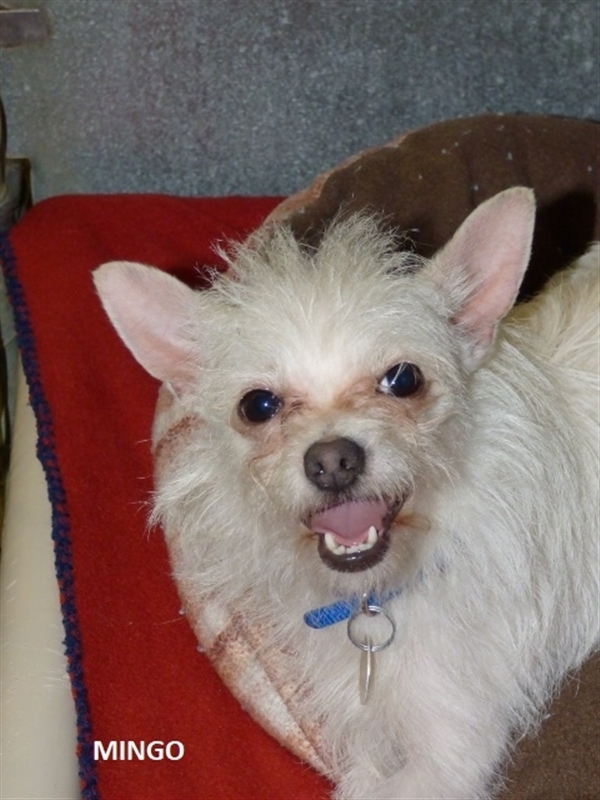 Dewey would fare better in a home with older children or adults. 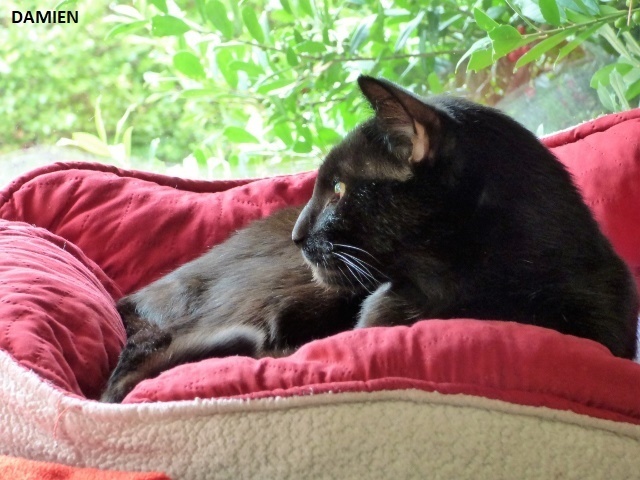 Dewey lived with another cat (that he was affectionate and playful with) and a dog (that he "didn't hang with") in his first home so he might enjoy a similar environment in his new home. Dewey likes to be petted on his head, back and sides but NOT his belly. He also doesn't like veterinarians. 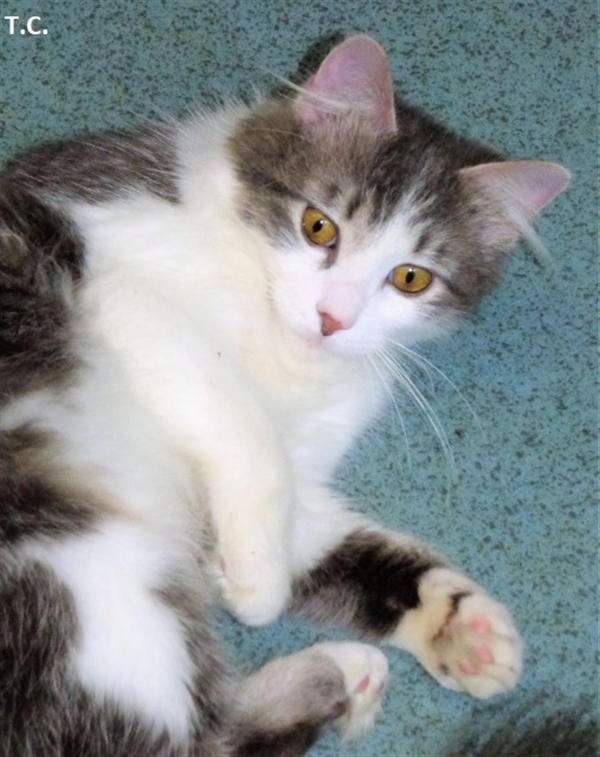 Dewey loves to play and every cat he meets he immediately sees as a playmate so he'd be happiest in a multi-cat home. 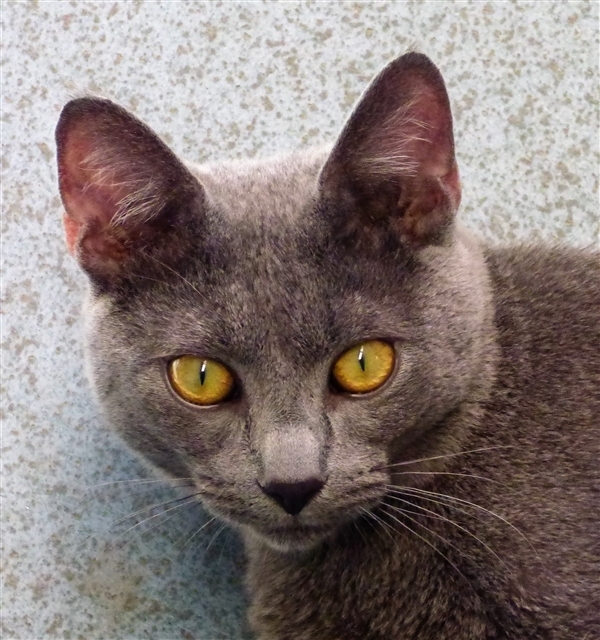 Although his owners told us that Dewey is a Russian Blue (and he does have the solid gray coat and dark nose of the breed), his eyes are more of a goldish green - not the vivid green found in the breed. He's still a gorgeous kitty, though, purebred or not! 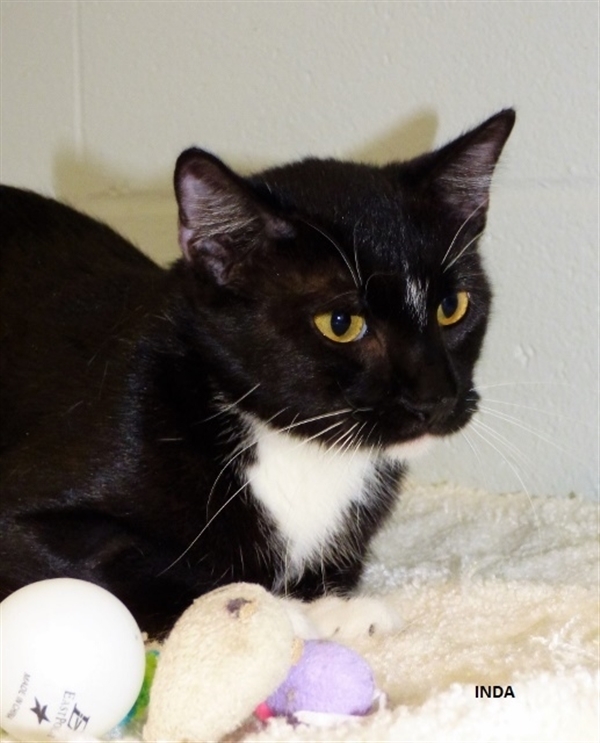 To find out if Dewey would be a good fit for you and your household, just stop by the shelter and ask to meet him. /// DEWEY IS SPONSORED THRU APRIL 2019 BY CAROLE MAHAFFEY IN HONOR OF BETSY NEICHTER. 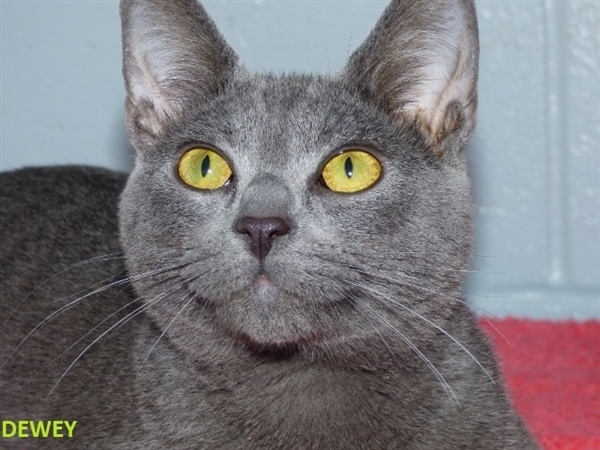 Primary Color: Grey Weight: 10lbs Age: 0yrs 8mths 3wks Animal has been Neutered I am available for adoption at the Animal Care Society. Fancy lost her home when her owner's health issues no longer allowed her to provide adequate time and care for all her pets. A rescue working with the lady asked if we could take Fancy in and find her a new home. Fancy was born in October of 2013 and, although she's not a Spring Chicken, she is still very active and VERY capable of giving lots of love! She's quite the little lap dog and is very generous with her affection. 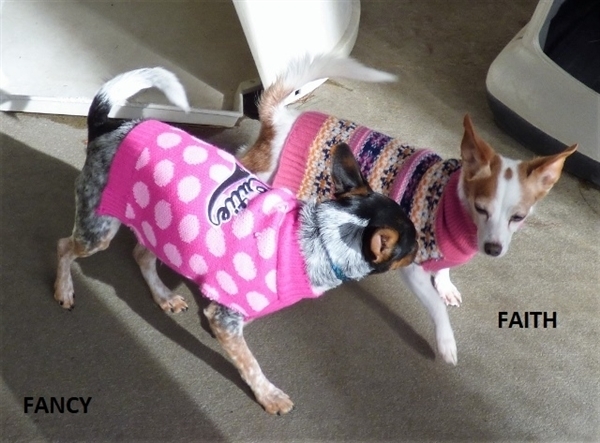 Fancy has been diagnosed with a luxating patella of her right hind leg. It isn't causing her any pain and it sure doesn't slow her down on walks but her adopter should have the financial means to cover any specialized veterinary care Fancy may require should the condition worsen. Fancy will use newspaper to potty inside if she can't be taken outside for some reason to 'take care of business. This little bundle of joy is such a people-lover that she can be quite vocal when left alone. While she does eventually settle down, she probably wouldn't be a good choice for someone who lives in an apartment or condo or someone who prefers quiet dogs. Although, as long as she's with you, Fancy is very quiet. 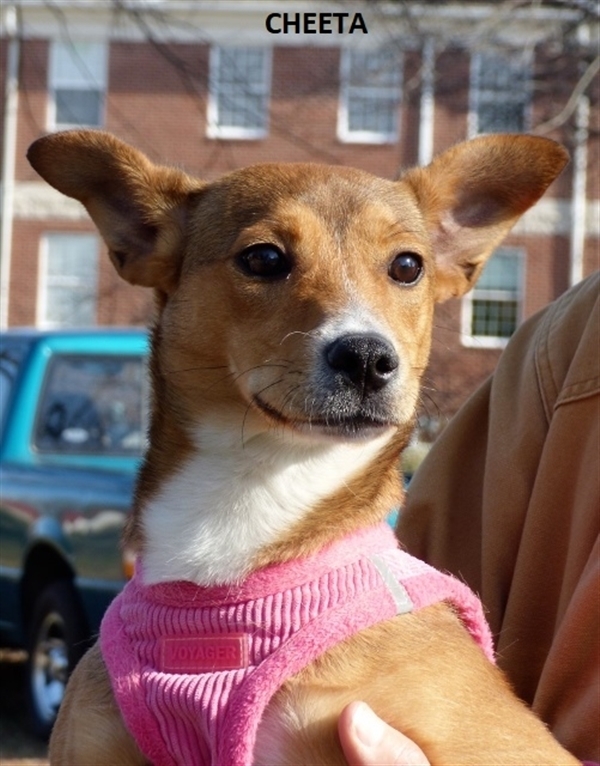 Because she came from a home with multiple pets, Fancy does well around both cats and other dogs. 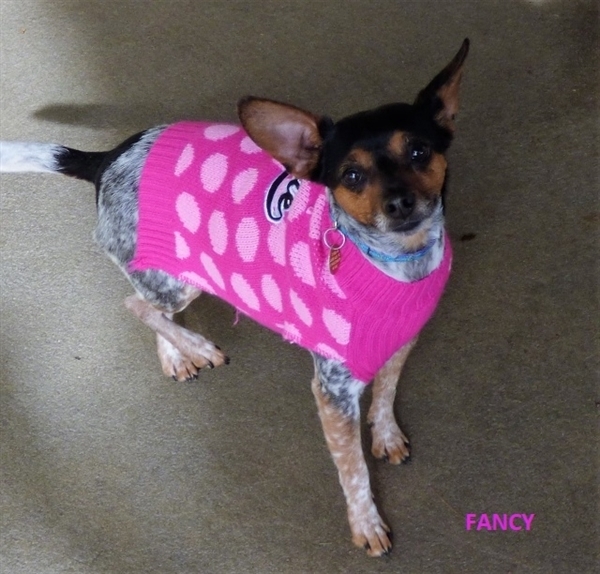 If you have room in your heart and home for a little dog that finds joy in just being with you, then make sure you stop by our shelter and ask to meet Fancy. /// FANCY IS SPONSORED THRU MAY 2019 BY OUR FRIENDS AT OLDFATHER LAW FIRM. 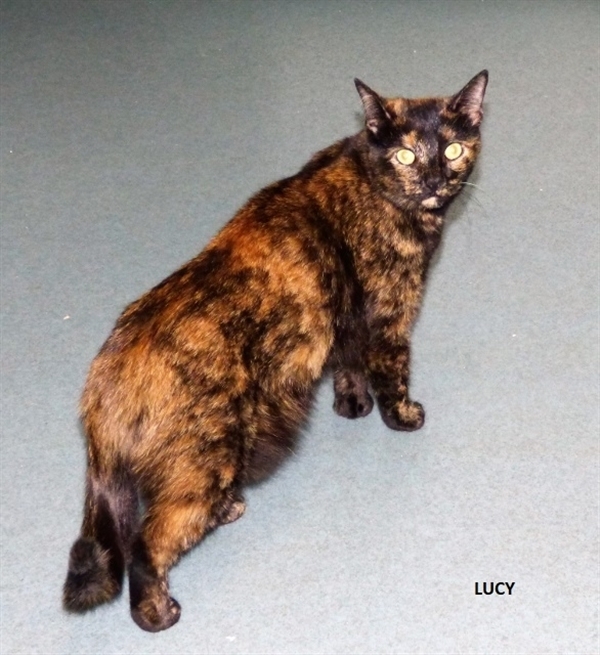 Primary Color: Blue Secondary Color: Tri Color Weight: 12lbs Age: 5yrs 6mths 1wks Animal has been Spayed I am available for adoption at the Animal Care Society. 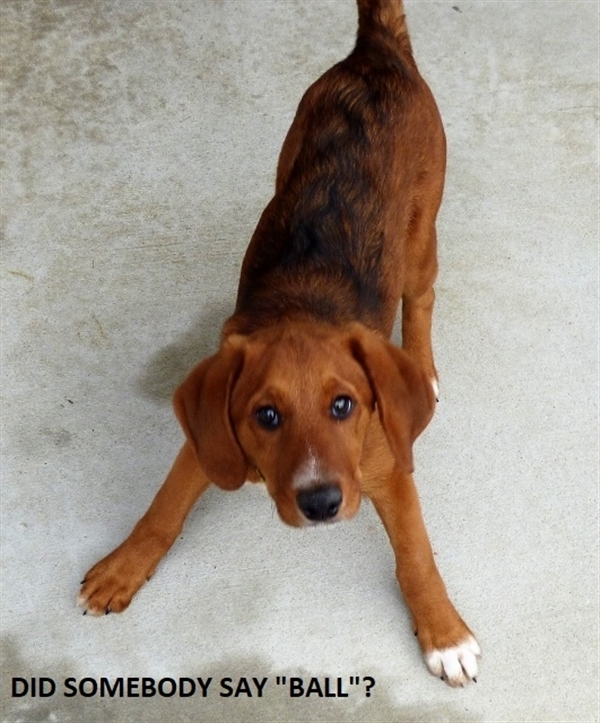 This handsome fella is one of three Airedale mix pups turned into a county shelter. 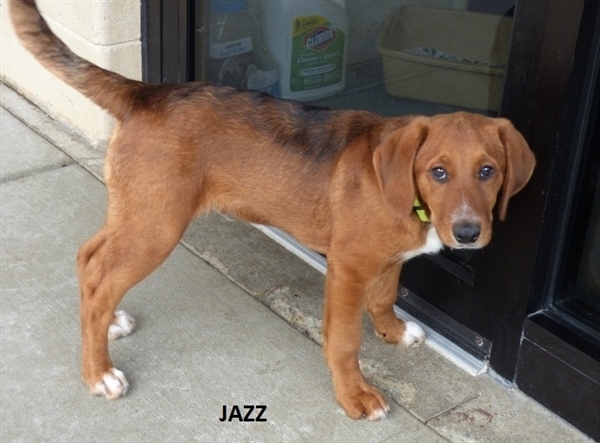 Jazz was born around early October 2018 and, at 4 months of age, weighed a leggy 22 lbs. Based on that, and judging from the size of his paws, we're guesstimating that he'll probably be a good-sized dog once he's done growing so keep this in mind if you are only wanting a medium-sized or knee-high dog. 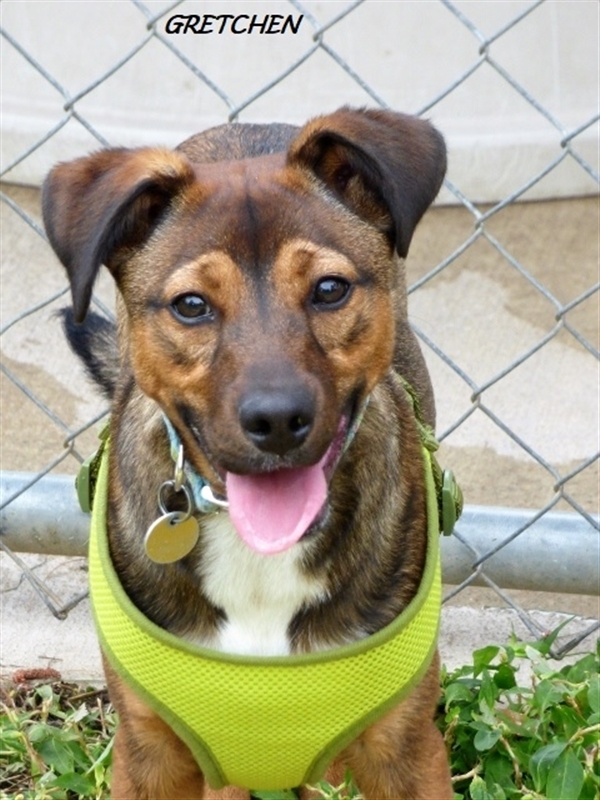 Like most young pups, Jazz is very friendly, outgoing and lovable but he's also very playful, energetic and full of mischief. He's a hoot to watch when he's outside. He'll go from running the crazy 8's to the bowing play position then back to running the crazy 8's! Jazz is sure to make his fair share of mistakes over the next few months - chew things he shouldn't, potty where he shouldn't, and get into places/things he shouldn't. If you have a raised a puppy before and have the time, patience and energy to do so again, then we think you'll agree with us that Jazz will be worth it all! 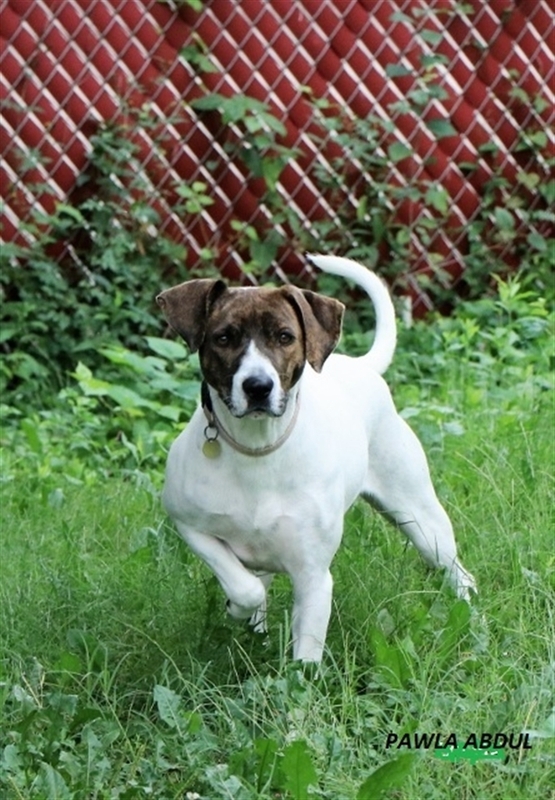 If you would like to give Jazz a loving and committed forever home, just stop by the shelter and ask to meet him. He's neutered, microchipped, fully vaccinated and on monthly heartworm and flea preventatives. /// JAZZ IS SPONSORED BY THRU APRIL 2019 BY OUR FRIENDS AT OLDFATHER LAW FIRM. 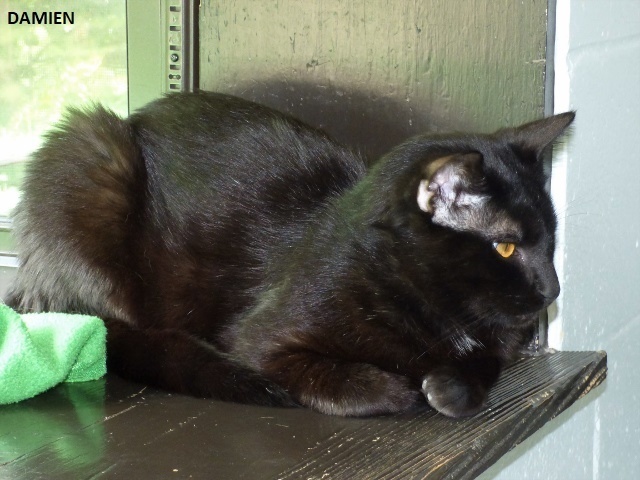 Primary Color: Red Secondary Color: Black Weight: 27lbs Age: 0yrs 6mths 2wks Animal has been Neutered I am available for adoption at the Animal Care Society. This handsome little dog definitely had a Guardian Angel looking out for him. 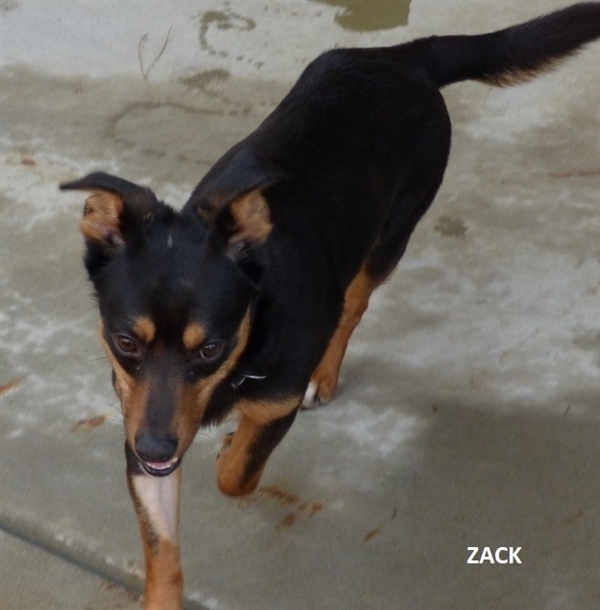 Zack had been in a county shelter and was transported to ACS on 1/25/19. We knew the minute we saw him in a crate in the transporter's truck that he was really sick. 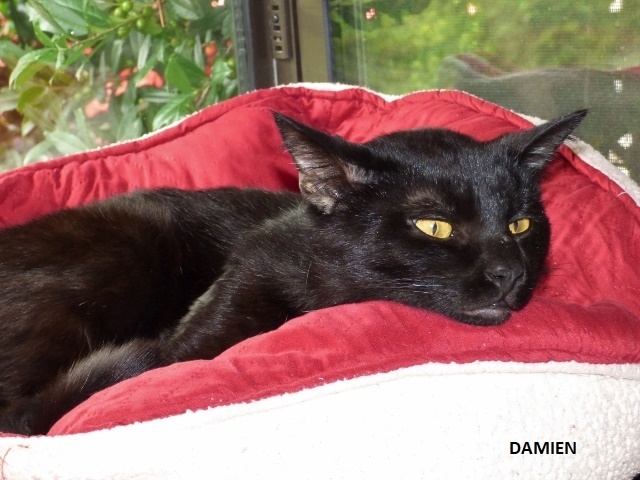 Zack was rushed to Shively Animal Hospital where he spent almost a week recuperating. It was touch and go there for awhile since poor Zack refused to eat anything but after several days, he started perking up and developed an appetite. And that appetite continued to grow after he came back to our shelter. This fella LOVES to eat! It's like he's trying to make up for all the meals he missed out on when he was sick (and maybe even before that since he was bone-thin on arrival). 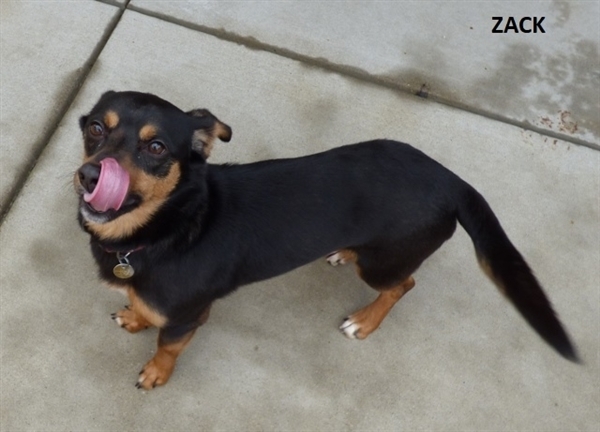 Compact and short to the ground, Zack weighs 22-lbs and looks like he's got some Jack Russell, Corgi, Dachshund or Mini Pinscher in him but who knows what his breed make-up is for sure. There's no question about how sweet he is, though. And don't make the mistake of thinking that Zack's short legs limit his ability to jump. This little guy can easily launch himself over a four foot fence! That 'talent' might be how Zack ended up as a stray in that county shelter! Any fence in a prospective adopter's home is going to need to be at least 6 feet tall to keep Zack safely confined. The other option is making sure he is always on leash when he's outside. 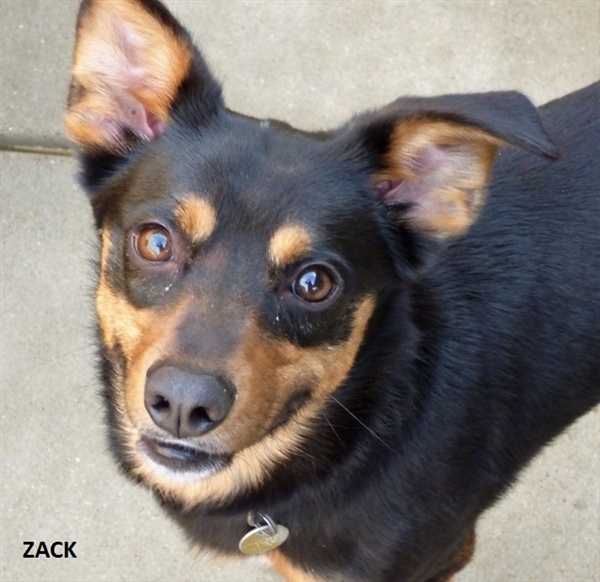 Zack might not be the right fit for every adopter but we know his Special Person is out there and he or she will be lucky to have the love and devotion of this sweet little guy! He's so much fun and has such a happy and joyful outlook on life! Zack is great on leash walks, too! To find out if this little guy would be a good fit for you and your household, just stop by the shelter and ask to meet him. /// ZACK IS SPONSORED THRU JUNE 2019 BY JANET JORDAN. 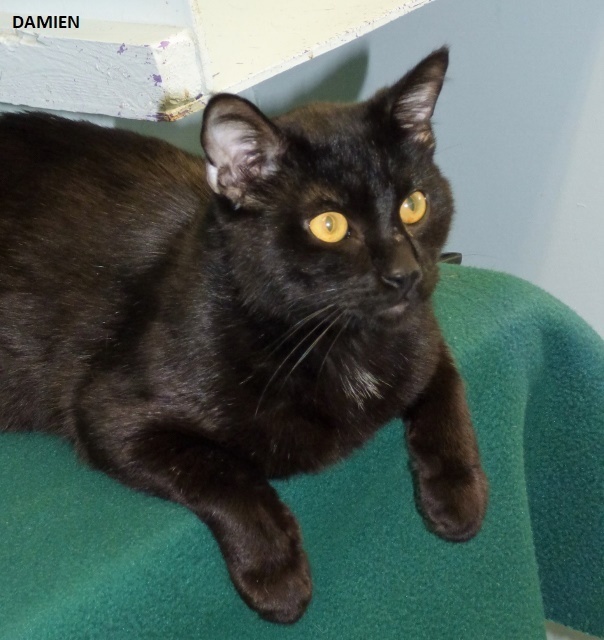 Primary Color: Black Secondary Color: Tan Points Weight: 22.9lbs Age: 1yrs 3mths 2wks Animal has been Neutered I am available for adoption at the Animal Care Society. Shadow looks intimidating but she is really just a goofy sweetheart! Yes, she's big (52 lbs) and, yes, she's pretty hyper but she is also very affectionate and super friendly. 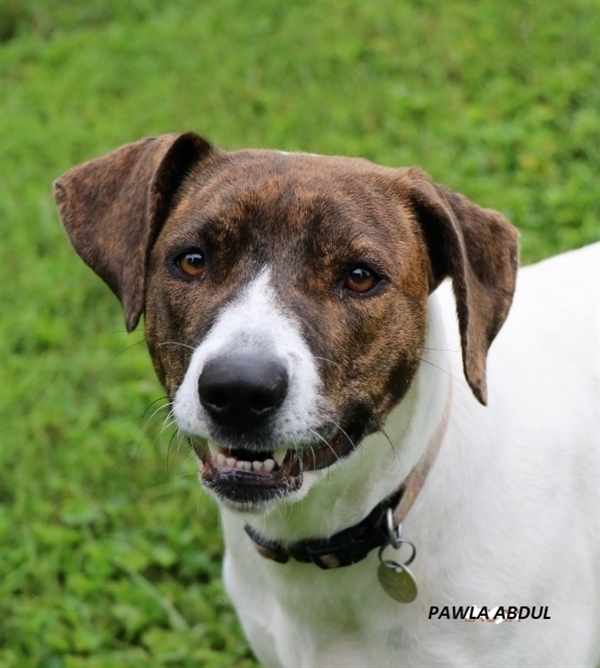 While she would probably be too intimidating for young children or children who aren't used to large energetic dogs, she might be great for a family with older children looking for an intelligent furry family member to romp in the yard with or take on long hikes. Shadow seems just about game for any type of fun activity. She just needs some firm and consistent training to turn her down a notch or two. Since she was turned in with another dog, we are assuming she gets along with other dogs but we recently found out she does NOT do well at all with cats. 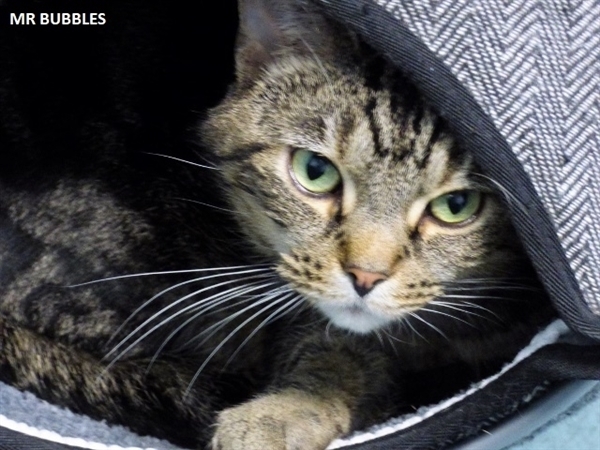 To find out if Shadow would be a good fit for you and your feline-free household, just stop by the shelter and ask to spend some time with her. 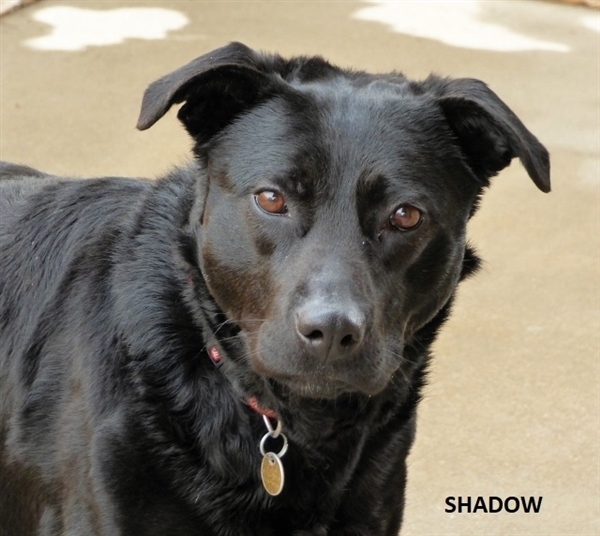 /// SHADOW IS SPONSORED THRU JUNE 2019 BY JOHN NALLY IN MEMORY OF HIS BELOVED ROTTEN ROTTIE, AN ACS ALUMNI WHO LEFT HIS PAW IMPRINT FOREVER ON ALL OUR HEARTS. 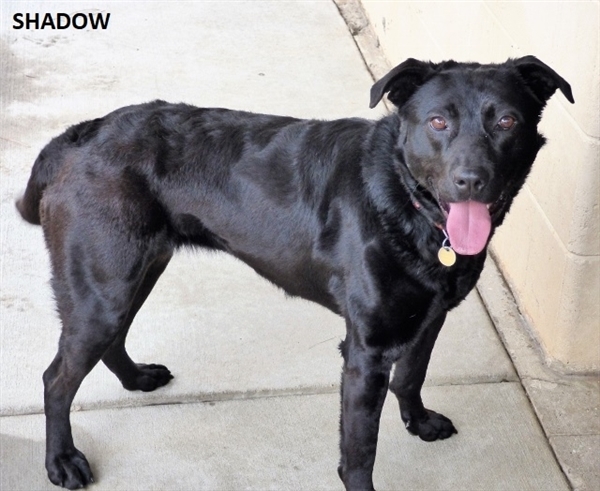 Primary Color: Black Weight: 52lbs Age: 2yrs 1mths 0wks Animal has been Spayed I am available for adoption at the Animal Care Society. When Mr. 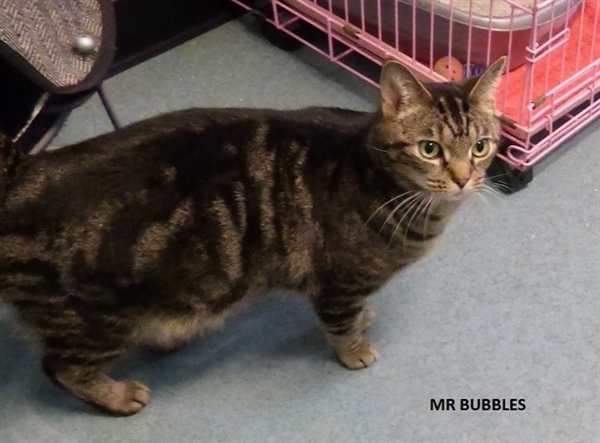 Bubbles first arrived at our shelter, we mistakenly took him to be a rather shy cat. When we moved him into the McKinney Room, however, his true personality came shining through. Mr. 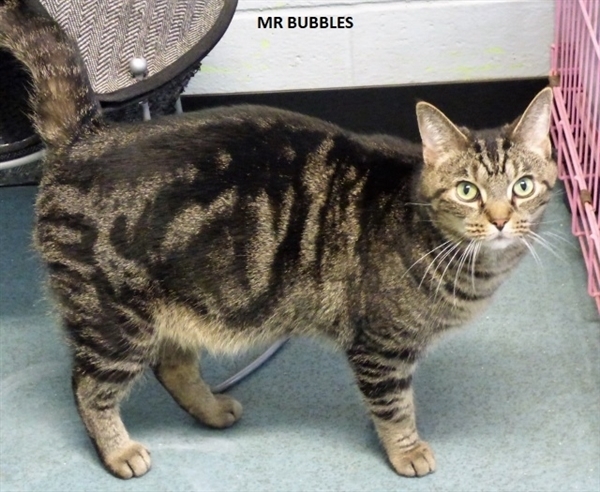 Bubbles is actually a very friendly feline and easily took to his new surrounding and his feline roommates. He seems especially fond of Damien and they can often be seen touching noses and rubbing up against each other. Without fail, EVERYone who visits the McKinney Room is immediately taken with Mr. Bubbles which makes it all the more puzzling why he hasn't been adopted yet! If you're looking for a handsome feline with a 'pawsome' personality to keep your heart full and your lap warm, make sure you stop by and ask to meet Mr. Bubbles! /// MR. BUBBLES IS SPONSORED THRU SEPTEMBER 2019 BY VANESSA TAYLOR. Primary Color: Tabby Weight: 9.3lbs Age: 2yrs 10mths 0wks Animal has been Neutered I am available for adoption at the Animal Care Society. 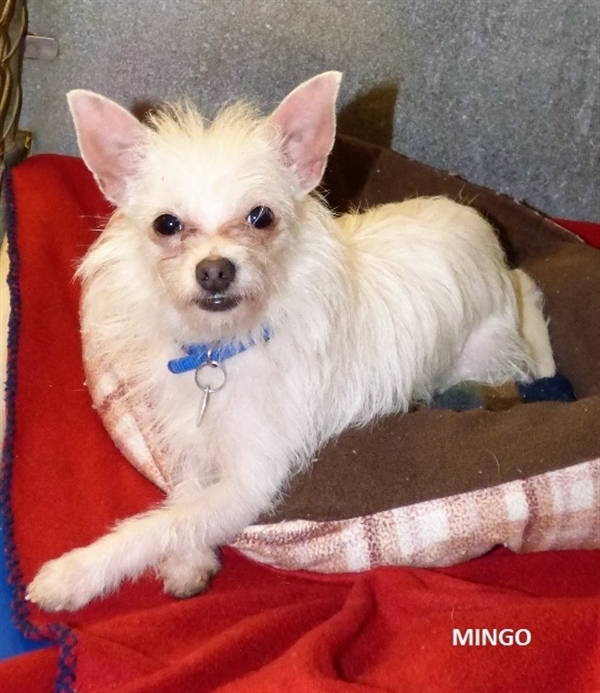 Are you looking for a small young dog that's full of energy but also likes to cuddle? Well Miss Tippy just might be your gal! This sweet Chihuahua mix was surrendered by her owner because Miss Tippy was having to spend the majority of her time in a crate. Her owner felt that Miss Tippy deserved a better life and asked us to take her in and find her a more appropriate household. Born in early July 2018, Miss Tippy weighs just a little under 13-lbs and we doubt she'll get much bigger than 15-lbs. She LOVES attention and wants to cover you with kisses when she meets you. 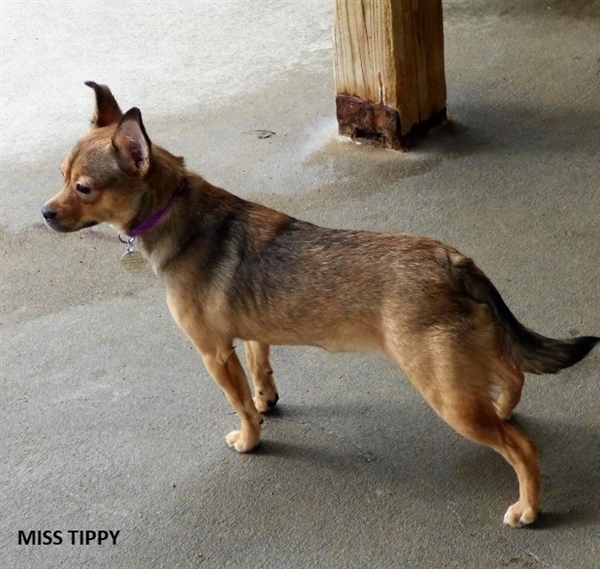 Miss Tippy is also very playful and loves to chase after squeaky toys. She gets along nicely with similar-sized dogs. Miss Tippy goes into her crate (which will be sent home with her) as soon as you open the door but, because she spent so much time in her crate in her former home, she may also 'relieve' herself in her crate if the urge hits. While we were told that Miss Tippy isn't house-trained, she has been very good about only using the newspaper to do her business. Because she's so smart, we think she'll be pretty easy to house-train under the supervision of an experienced, patient and consistent adopter. She just finished her vaccinations and is just now able to go outside for leash walks. 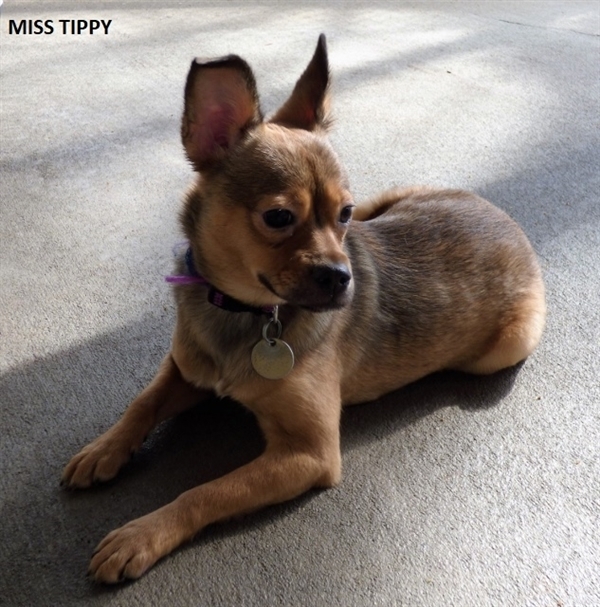 Although Miss Tippy is very friendly with older children and would be a great fit for a family with children at least 8 years old that are dog savvy and want an playful, affectionate and smart little dog as a canine companion. Just keep in mind that a fenced yard is required. 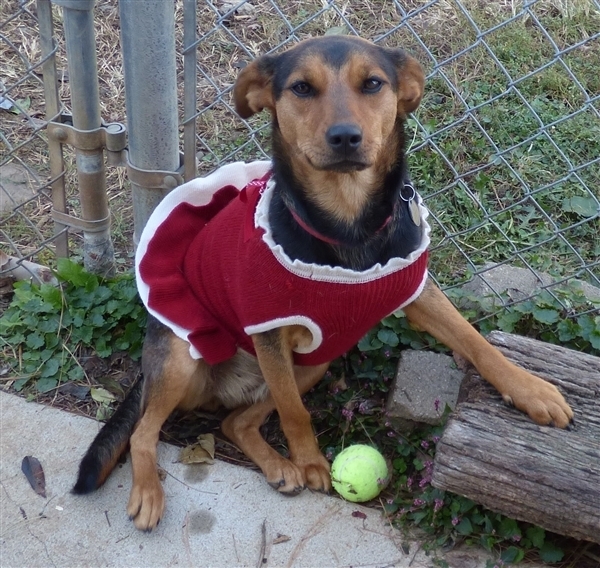 We want Miss Tippy to be safely confined while she runs around the yard playing with her new family! To find out if Miss Tippy would be a good fit for you and your household, just stop by the shelter and ask to meet her. /// MISS TIPPY IS SPONSORED THRU SEPTEMBER 2019 BY VANESSA TAYLOR. 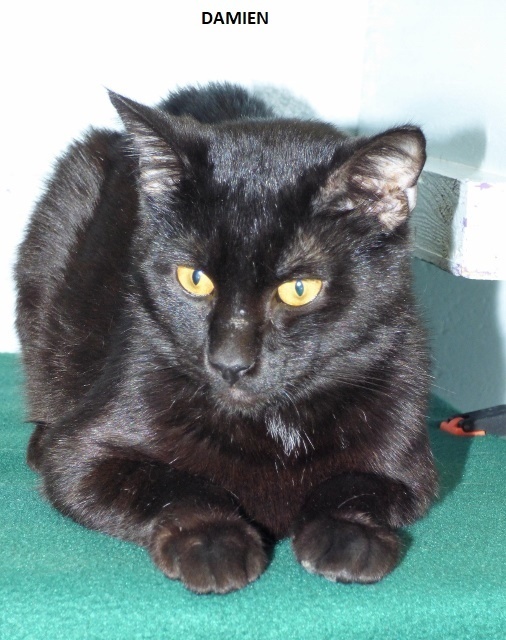 Primary Color: Brown Secondary Color: Sable Weight: 12.15lbs Age: 0yrs 9mths 2wks Animal has been Spayed I am available for adoption at the Animal Care Society. Are you the type of person who notices the person standing in a corner all alone at a social function and you make a point to make help them feel part of the crowd? Do you have a soft spot in your heart for underdogs? Well, if so, then Sassy sure would like to meet you! This pretty little girl was born around December of 2017 and was surrendered to us along with two other dogs back in December of 2018. Sassy and the other two dogs had lived most of her lives outside and, as a result, are socially backward and shy around new people. When someone enters the room, Sassy retreats to the back of her kennel cowering. To add to her misfortune, she went into heat before we could set her up for a spay which, of course, delayed her being eligible for adoption (her spay is now scheduled for 4/04/19). 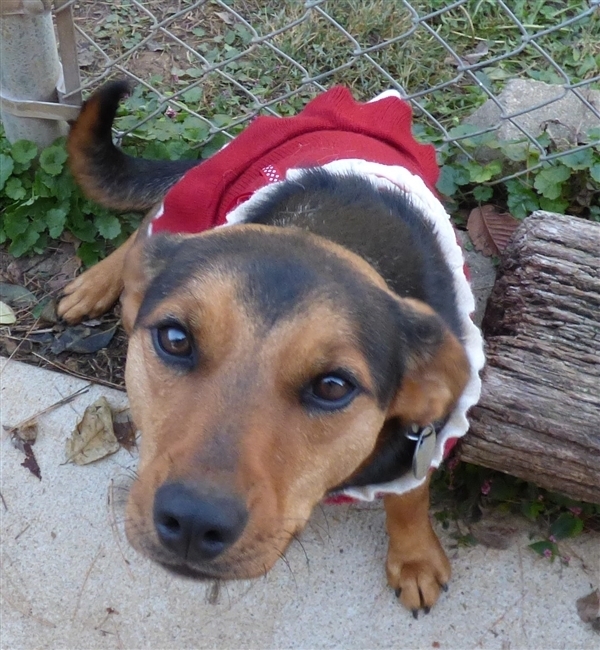 While Sassy is very loving with the staff and volunteers she's familiar with, she remains afraid of new people. She just needs a quiet home with a patient adopter who will allow her to relax and let down her guard so that she can finally be the fun-loving dog we just know is hiding inside her. Sassy happily introduced herself to every dog that came into the vet's office when we took her in for her spay so we think she'd love a home that already has another canine-friendly dog or two. A fenced yard will be a must for Sassy, also. Having cared for Sassy all these months, we know how sweet a dog she actually is once she warms up to you. If you want to be the one to show Sassy a 'brave new world,' just stop by our shelter and ask to meet her. It might take a few visits to win her over but we promise you the end result will be well worth the extra effort! Primary Color: Brown Weight: 27.3lbs Age: 1yrs 4mths 2wks Animal has been Spayed I am available for adoption at the Animal Care Society. Meet Ruthie - the 1/18/19 offspring of a cream-colored Lab-looking mama dog and black tri-colored Beagle-looking papa dog. Ruthie's coloring doesn't match either of her parents and, also unlike her parents, she has a bobbed tail but she's as cute as a bug in a rug! 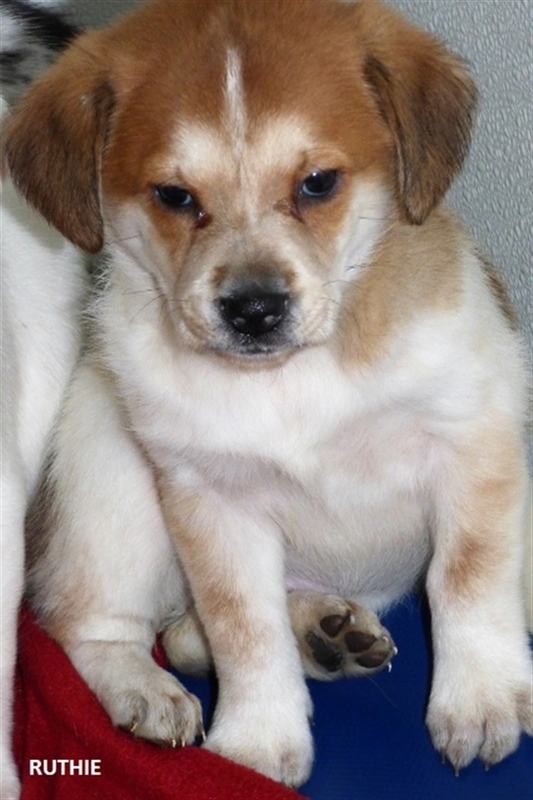 This little butterball has a very loving personality but is also a bit of a tomboy. She can usually be found pinning down one of her brothers and chewing on them like a bone! Of course, it's all in good-natured play but, if you have young children who live in or frequently visit your home, THEY might not appreciate being on the receiving end of Ruthie's needle-sharp teeth! And let's face it...puppies LOVE to chew! If you just got new furniture or carpet/flooring, then an older puppy or adult dog that's outgrown the destructive phase would probably be a better fit for you. If, however, you enjoy a challenge, have the budget to replace a few things (like shoes, remote controllers, rugs, etc.) over the next few months, and won't mind spending several sleepless nights until Ruthie adapts to being away from her siblings when it's bedtime, then Ruthie is more than ready to rock your world! 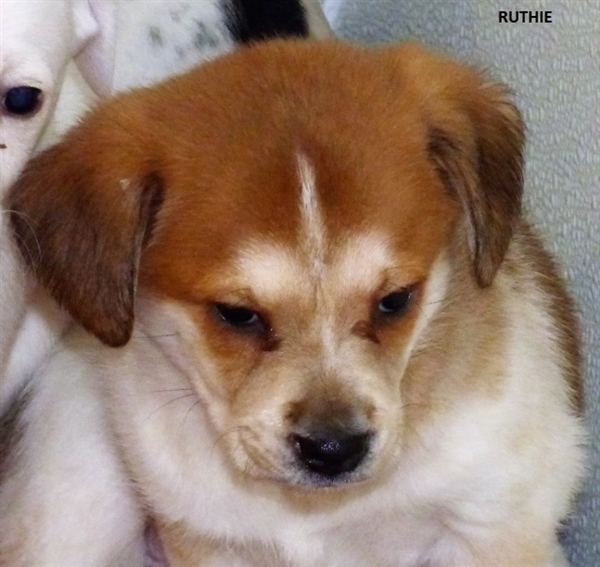 If you would like to give Ruthie a loving and committed forever home, just submit an application through our website (www.animalcaresociety.org) by clicking on DOG/PUPPY APPLICATION in the drop down box that appears when you put your cursor on the ADOPT A PET heading near the top of our Home Page. Once we've worked your application, we will be back in touch with you. Please note - until Ruthie has received all three puppy vaccinations, only applicants who we've called to arrange a 'meet and greet' will be allowed to handle her. We want to do everything we can to keep her healthy for her adopters. Ruthie won't be old enough to be spayed until August of 2019. If adopted before then, she will go out with a spay voucher in accordance with the Animal Ordinance for Jefferson County KY which limits potential adopters to only residents of Jefferson County KY. Primary Color: Brown Secondary Color: White Weight: 10.5lbs Age: 0yrs 0mths 12wks I am available for adoption at the Animal Care Society. Meet Ralphie - the 1/18/19 offspring of a cream-colored Lab-looking mama dog and black tri-colored Beagle-looking papa dog. Ralphie has a bobbed tail and is a creamy-whitish color so he takes more after his mama. 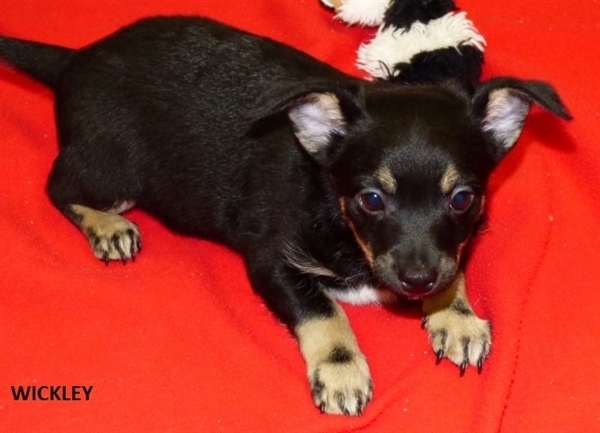 This little butterball may be the smallest puppy in the litter but he's big on personality. He craves attention and is super affectionate. Ralphie also loves to eat and is usually the first pup at the pan at feeding time. Like all puppies, Ralphie also likes to do his fair share of chewing things other than puppy food! Keep this in mind if you have young children who live in or frequently visit your home as they might not appreciate being on the receiving end of Ralphie's needle-sharp teeth! And let's face it...puppies LOVE to chew! If you just got new furniture or carpet/flooring, then an older puppy or adult dog that's outgrown the destructive phase would probably be a better fit for you. If, however, you enjoy a challenge, have the budget to replace a few things (like shoes, remote controllers, rugs, etc.) 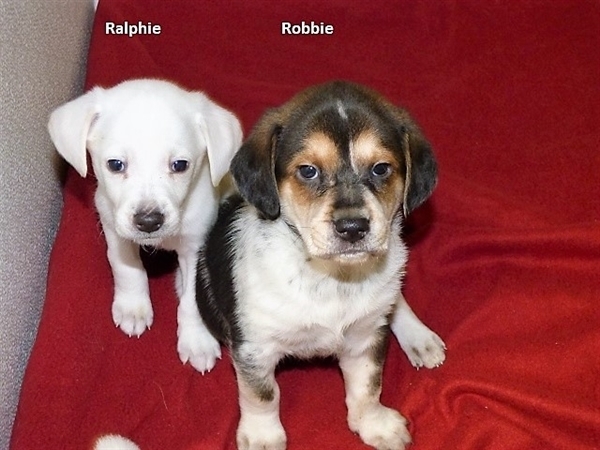 over the next few months, and won't mind spending several sleepless nights until Ralphie adapts to being away from his siblings when it's bedtime, then Ralphie is more than ready to rock your world! 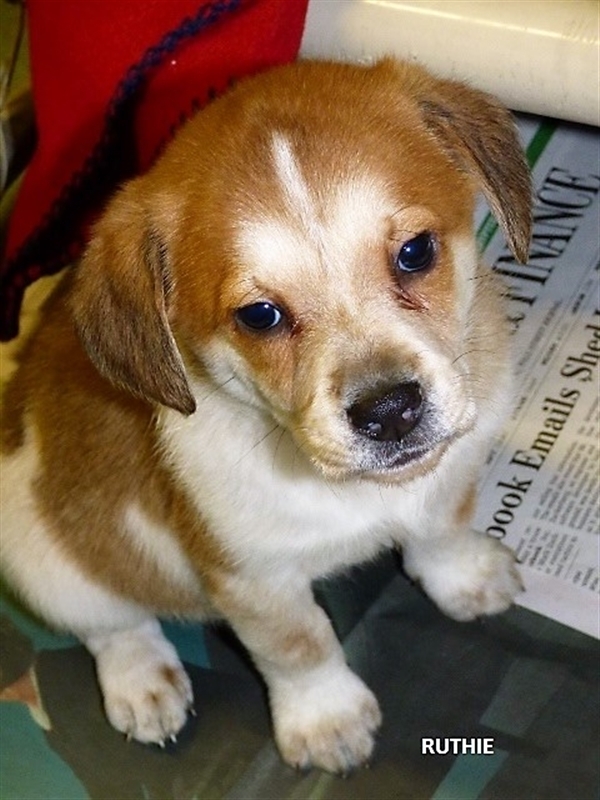 If you would like to give Ralphie a loving and committed forever home, just submit an application through our website (www.animalcaresociety.org) by clicking on DOG/PUPPY APPLICATION in the drop down box that appears when you put your cursor on the ADOPT A PET heading near the top of our Home Page. Once we've worked your application, we will be back in touch with you. Please note - until Ralphie has received all three puppy vaccinations, only applicants whom we've called to arrange a 'meet and greet' will be allowed to handle him. We want to do everything we can to keep Ralphie healthy for his adopters. Ralphie won't be old enough to be neutered until June of 2019. If adopted before then, he will go out with a neuter voucher in accordance with the Animal Ordinance for Jefferson County KY which limits potential adopters to only residents of Jefferson County KY. Primary Color: White Secondary Color: Tan Weight: 8.18lbs Age: 0yrs 0mths 12wks I am available for adoption at the Animal Care Society. When we met T.C., we figured her name stood for Top Cat or Too Cute. Turns out T.C. stands for Trash Can because that's where she was found in August of 2018. 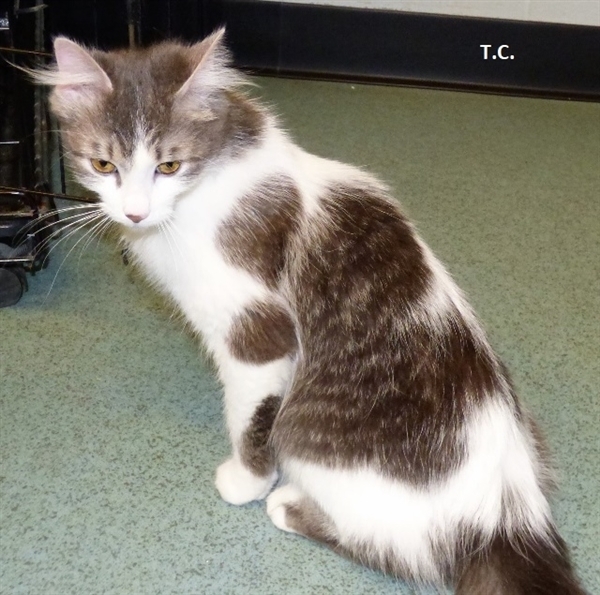 Although her first owner obviously didn't care anything about this pretty little kitty, the young man who found T.C. adored her and it wasn't easy, a short 8 months later, for him to surrender her to our shelter. A recent change in employment, however, will require him to be on the road year round and he couldn't stand the thought of poor T.C. being left alone so much. After spending only a few minutes with her, we could tell how much T.C. enjoys attention so her owner made the right decision. T.C. loves being with people but can be a little shy at first. Just talk sweetly to her for a few minutes and your patience will be rewarded by T.C. hopping into your lap, purring like crazy and rubbing all over you! We were told that T.C. likes other cats, is OK with dogs ("keeps her distance"), is used to being brushed, loves to be petted everywhere but her belly (but will tolerate it), is afraid of vacuum cleaners, is shy around children, is very clean and always uses the litterbox, and loves to talk to you. T.C. has looks, personality and a ton of love to give the person who opens their heart and home to her. 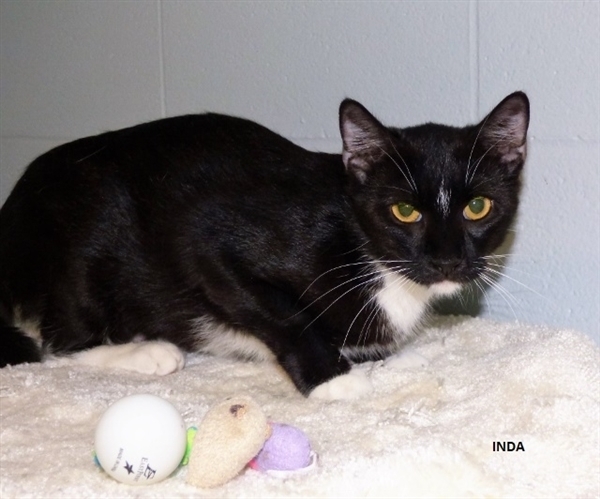 To find out if she would be a good fit for you and your household just stop by our shelter and ask to meet her. While she can't go to a new home until after she's spayed, we are taking applications on her now. 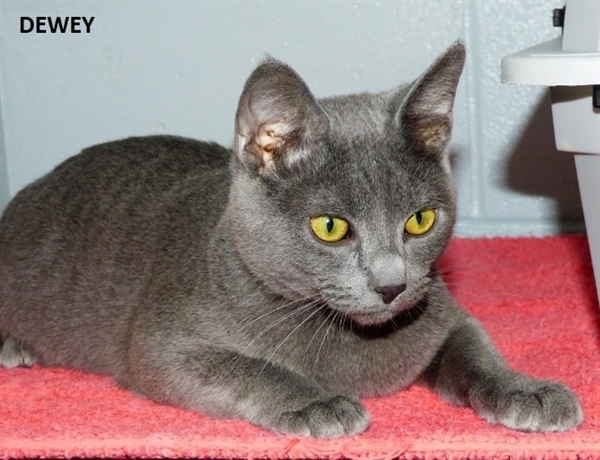 Primary Color: Grey Tabby Secondary Color: White Weight: 5.72lbs Age: 1yrs 0mths 2wks Animal has been Spayed I am available for adoption at the Animal Care Society. 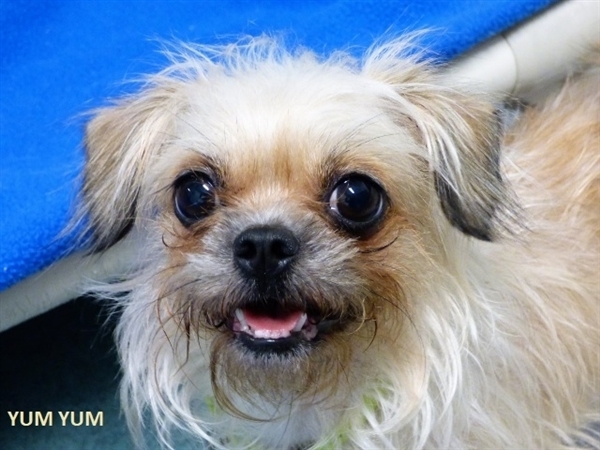 Don't assume this little 6-lb Shih Tzu/Chihuahua mix is just a lap dog. While Yum Yum definitely enjoys 'laptime', she is also super smart and loves to show you that she's more than just a pretty face. Yum Yum was surrendered when her owner had to move in with a relative and pets weren't allowed. The young lady told us that Yum Yum will use puppy pads and understands when you ask her 'Wanna go outside?' She also knows what you're saying when you say 'Dead Dog' (she'll lie on her back and hang her head). If you say 'Hungry? ', Yum Yum will find her favorite food (Cesars) even if you've hidden it from her. Yum Yum loves stuffed toys - especially ones that squeak or make some other type of noise - and she'll happily play Fetch for as long as you're willing. We were told she is afraid of big dogs and cats but does fine with older children (at least 8 years old) that are respectful and know when to leave a dog alone. Yum Yum also rides well in the car if she's in her carrier (which will be sent home with her adopter). She's used to sleeping on her bed (which will also be sent home with her adopter) or in bed with her owner. Yum Yum doesn't care much for being left alone and she will cry or bark at first but she does eventually quiet down. Still, if you are gone from home for long stretches at a time, a dog that doesn't crave as much attention as Yum Yum does would be a better fit. We sure want this little gal to be happy since she's already had her heart broken once. 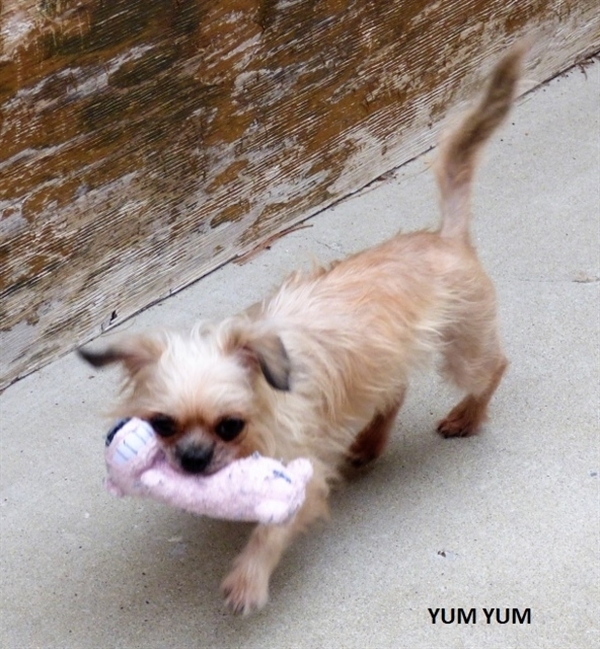 YuM Yum is a very active and quick little dog that will try to run out any open door. Her adopter needs to be just as active and quick. A home with a fenced yard attached to the house will help keep Yum Yum safe just in case she gets by you. 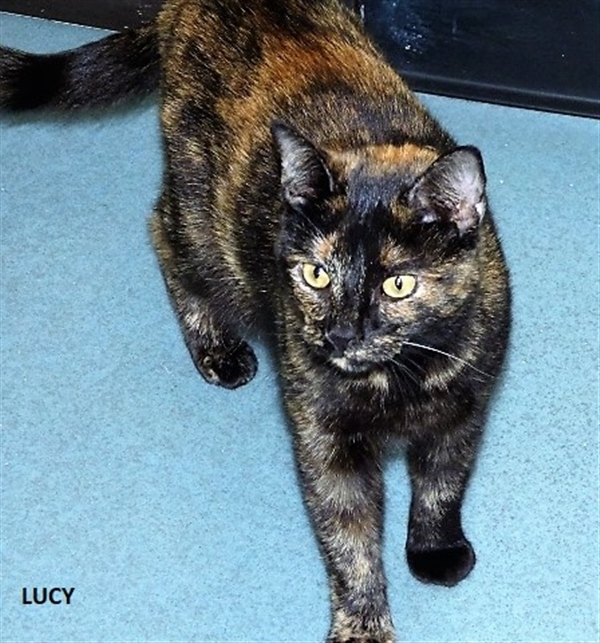 If you would like to give little Yum Yum a loving and committed forever home, just stop by the shelter and ask to meet her. Primary Color: Red Brown Weight: 5.6lbs Age: 2yrs 1mths 2wks Animal has been Spayed I am available for adoption at the Animal Care Society. 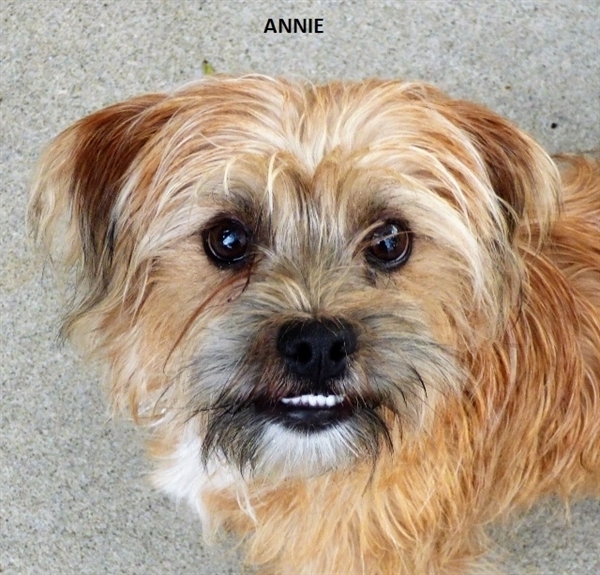 When Annie was purchased from a breeder at 8 weeks of age, her 70-year old owners were told that the pup was a Teddy Bear and would not get over six to seven pounds as an adult. Due to their age, they just wanted a calm little lap dog to be their buddy. 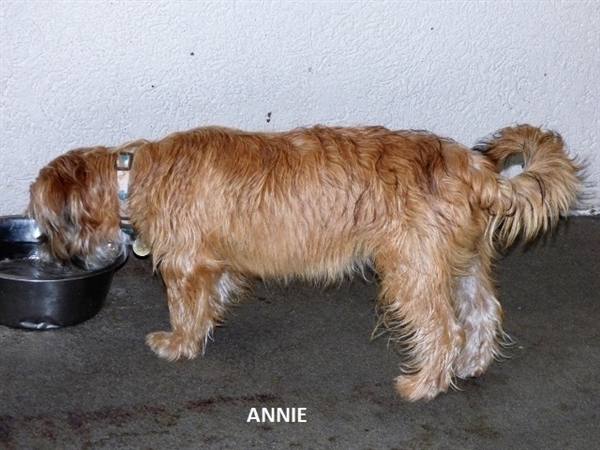 Unfortunately, as Annie grew, she didn't look anything like a Teddy Bear (Cairn Terrier or maybe Norwich Terrier and Shih Tzu would be our best guess), she weighed 14 lbs at 7 months of age, and she turned out to be far too active and energetic for the elderly couple. 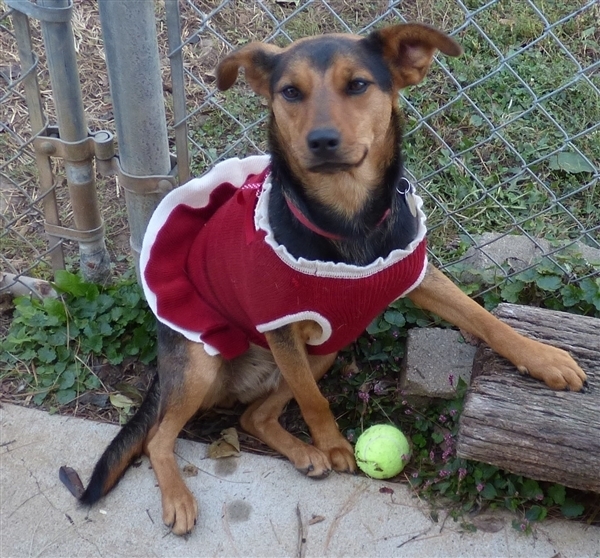 They dearly loved Annie but realized that she needed a home with a much younger and much more active owner as well as a fenced yard where she could safely run off all her energy. Annie is on the shy side when you first meet her. She will wiggle and waggle her body but won't readily approach you. You have to get down to her level and sweet talk her for a bit to win her over. Annie also has some submissive urination going on right now but that problem typically resolves itself over time once the dog is in a stable and familiar environment. We were told that Annie loves children (at least 8 years old), is trained to puppy pads, and was used to sleeping in bed with her owners. 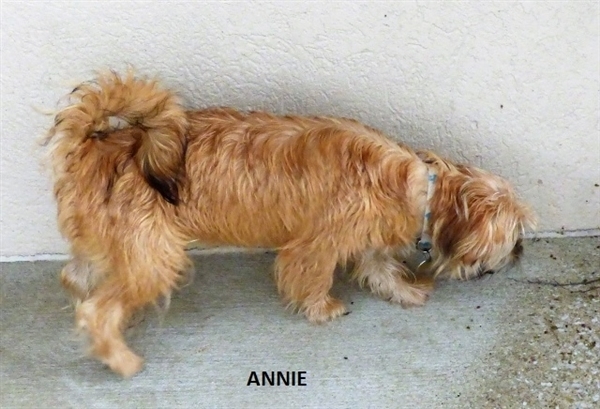 Because Annie is not socially confident, she tends to bark a lot at new people and in new situations. She also takes time to warm up to new dogs. If they approach her too quickly, it unnerves her and she'll curl her lip and growl. We're not sure yet how Annie does around cats but will be happy to do a 'cat scan' upon request. 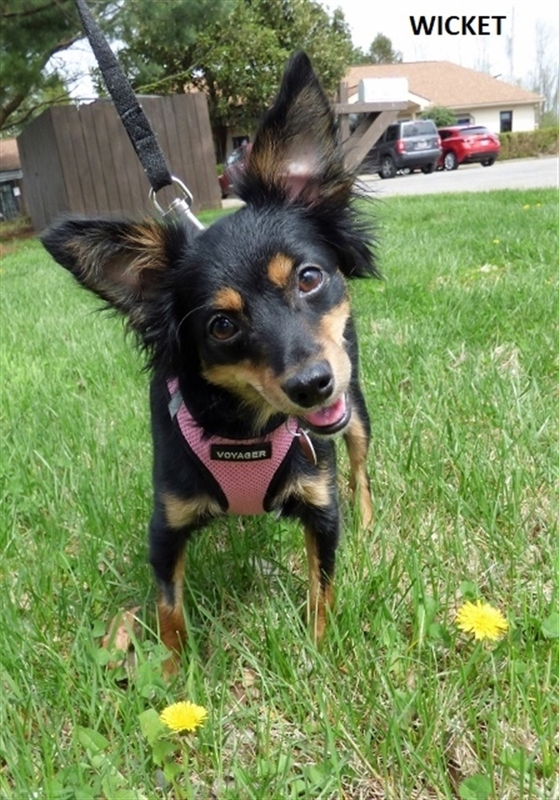 If you have an active lifestyle that can include an energetic dog, and have experience with nervous, shy dogs, Annie sure would like to meet you. NOTE: A structural fenced yard that is attached to the house is a MUST for Annie. She is an extremely determined door darter and will do her best to run out any open door. She is also terrified when on leash and we are currently working with her on this. Her former owners had her trained to pee pads and she was never outside except on their deck so she doesn't quite understand yet that walks are good things and that outside time is usually potty time. Annie, through no fault of her own, is a little 'ruff' around the edges right now but with a lot of patience and a little 'pawlish,' we know she'll be a wonderful canine companion. She just needs the right owner and an appropriate environment. 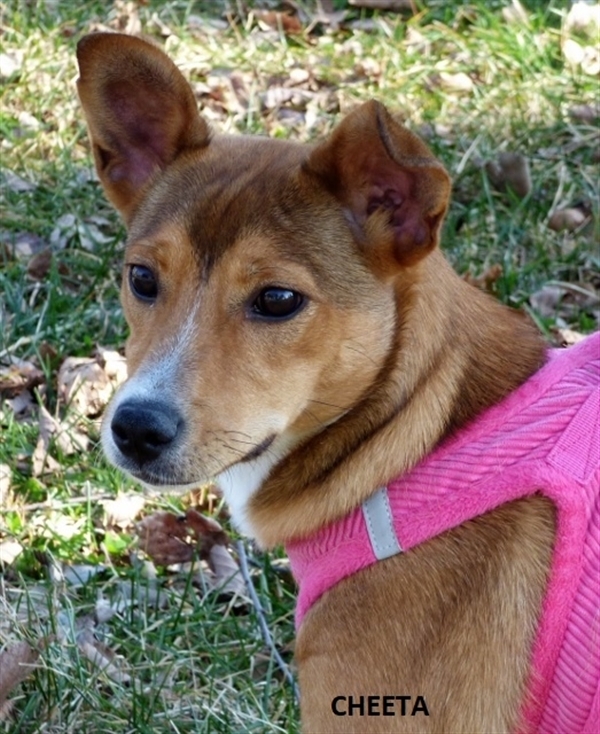 Annie can't go to a new home until after her 4/19/19 spay, but we are taking applications on her now. 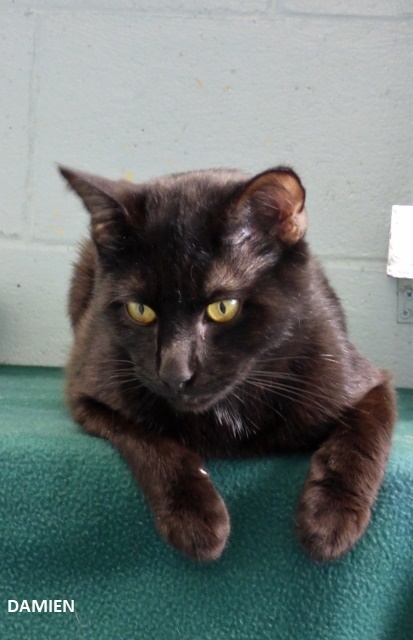 Primary Color: Red Gold Age: 0yrs 7mths 1wks I am available for adoption at the Animal Care Society. 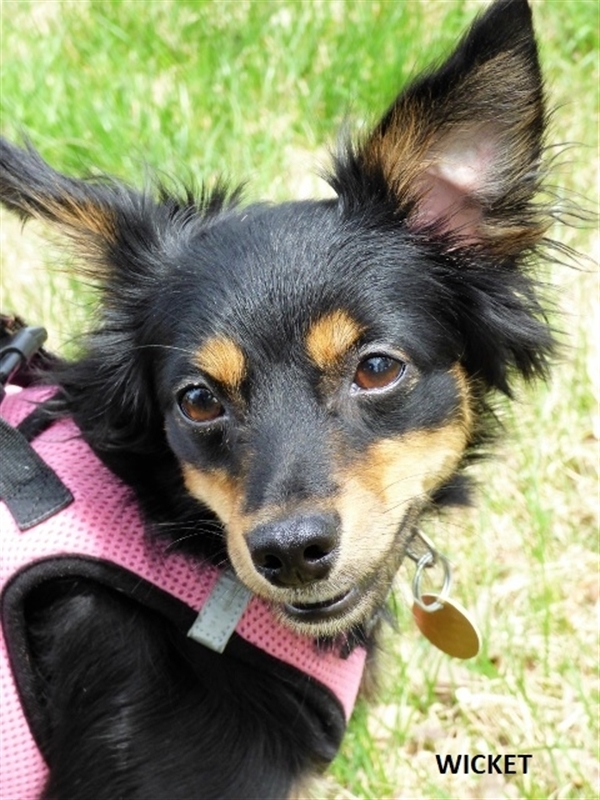 When this little long-haired Chihuahua arrived at our shelter on 1/16/19, we were told she was 'about a week away from having pups.' We kept a vigilant eye on her and had a staff member coming in every night to check on her. 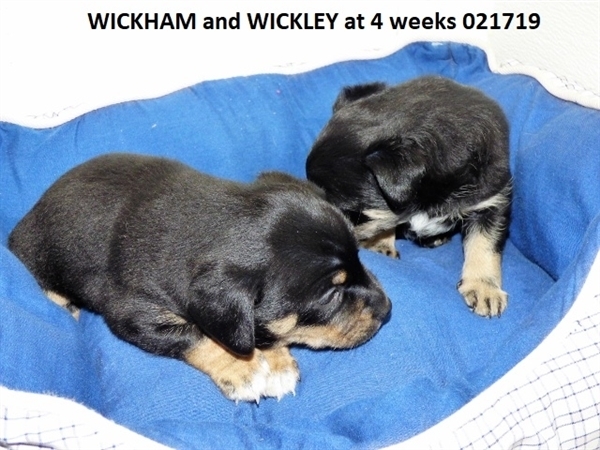 We wanted to be there to help her once the big moment arrived but Wicket took matters into her own hands and, in the three hour window between staff visits, she whelped two little pups on 1/20/19. Wicket was an awesome mom to her pups until they were old enough to be adopted. Now it's her turn to venture out into the world and become part of a loving household where SHE will be the one being doted on and cared for! Wicket's estimated date of birth is January 2017 so she has a whole lot of years ahead of her. 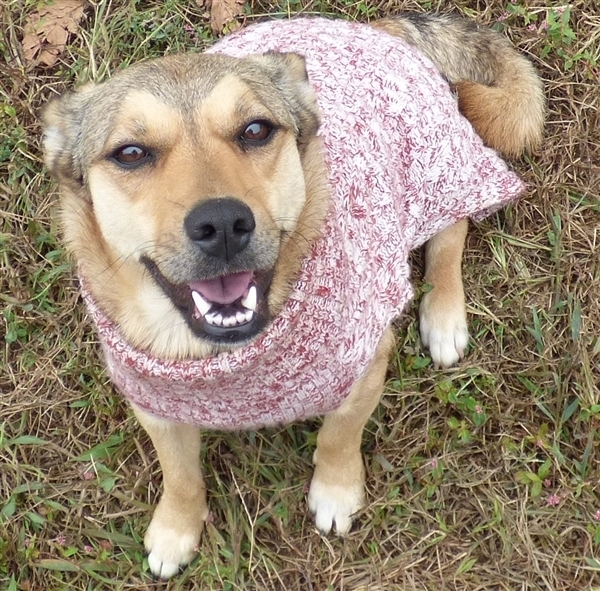 She also has the high energy and mischievous nature of a young dog so keep this in mind if you prefer a calmer, more sedate dog to be your buddy. Wicket's worst habits (at least that we've witnessed) are her tendency to run out any door as soon as it's opened and her penchant for barking when she wants your attention or is unhappy at being left alone. At eleven pounds, Wicket's small enough to accompany you everywhere that dogs are allowed but her small stature does not lend itself to being a good choice for households where young children live or frequently visit. She's just so darn cute that it would be hard for a child to resist the urge to pick her up and squeeze her which could end up with the child getting a corrective nip from Wicket. 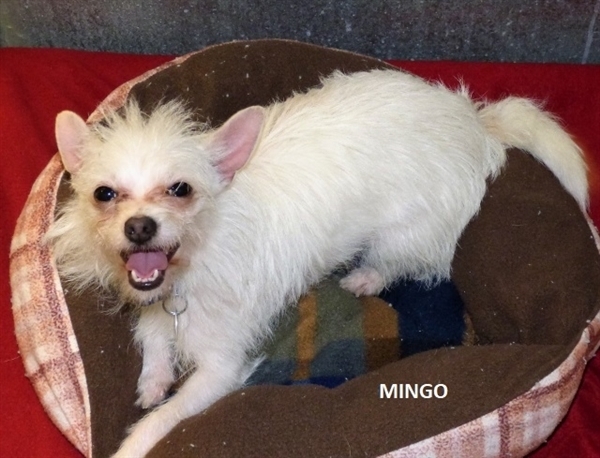 A home with pre-teens or teenagers would be a much better fit for this pint-sized dynamo. Wicket loves her leash walks and we think she'd love having a small fenced yard to run around and play in for a bit in nice weather. 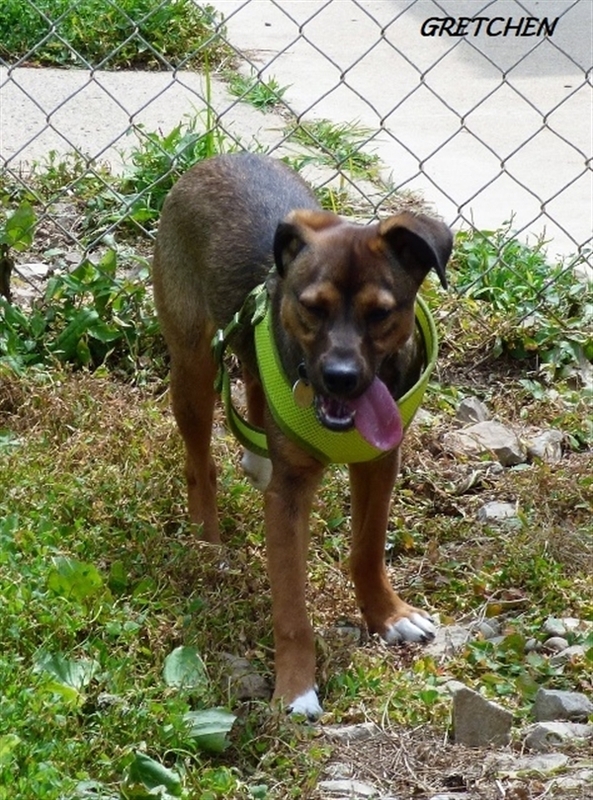 To find out if Wicket would be a good choice for you and your household, just stop by the shelter and ask to meet her. 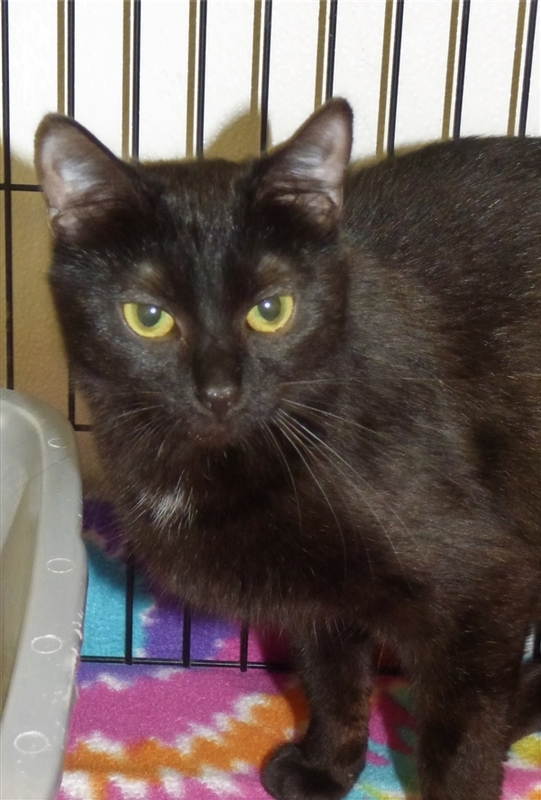 Primary Color: Black Secondary Color: Tan Points Weight: 11.2lbs Age: 2yrs 3mths 0wks Animal has been Spayed I am available for adoption at the Animal Care Society. She could be a mix of some kind of small terrier but your guess would be as good as ours. 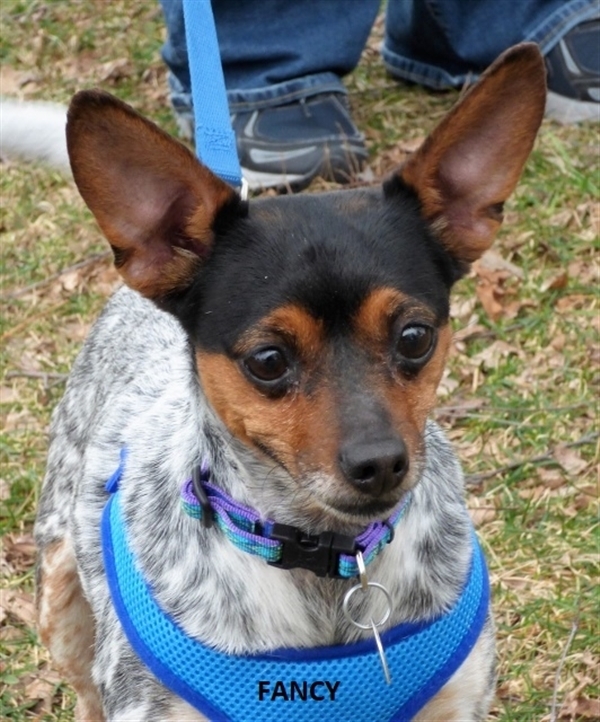 What we can tell you is that Gretchen's just the sweetest little thing and loves, loves, loves attention! 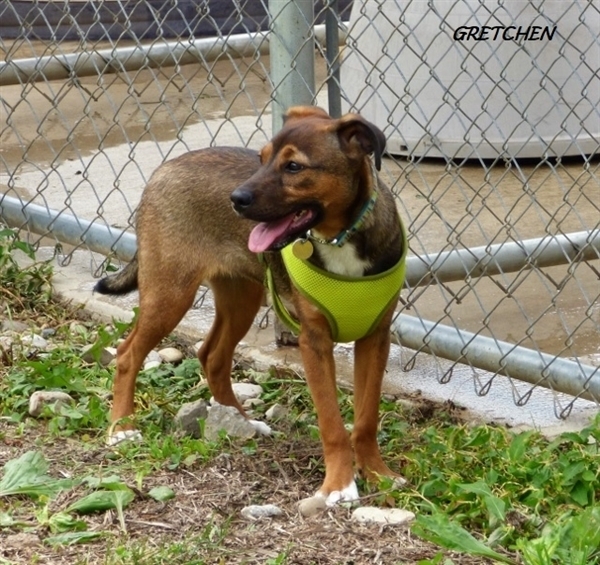 Like all young puppies, she has a lot to learn and will need an owner who has the experience, time and patience to help Gretchen grow up to be a good canine citizen. The dog a puppy becomes is a direct reflection of how it was raised. If you work long hours, have a busy social schedule, or have never raised a puppy before, an older puppy or adult dog might be less of a challenge. While Gretchen loves everyone, she's still too much in the scratching/nibbling phase to be placed in a home with children younger than five. Her razor-sharp claws and needle-sharp teeth can easily tear or puncture tender young skin even if Gretchen is only wanting to play. 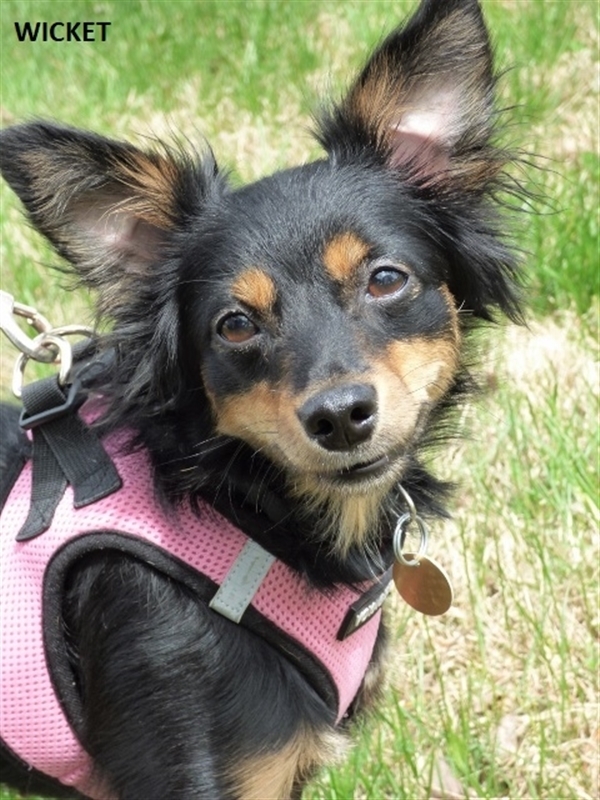 A household with older children who are dog-savvy enough to not only treat Gretchen gently but also help with her training would be a better fit. If you would like to give Gretchen a loving and committed forever home, just submit an application through our website (www.animalcaresociety.org). Once we've worked your application, we will be back in touch with you. Please note that, because Gretchen hasn't received all her puppy vaccinations yet, only applicants who have been contacted to schedule a 'meet and greet' will be allowed to meet Gretchen at this time. We are also requiring that approved applicants be residents of Jefferson County if Gretchen is adopted before she is old enough to be spayed. 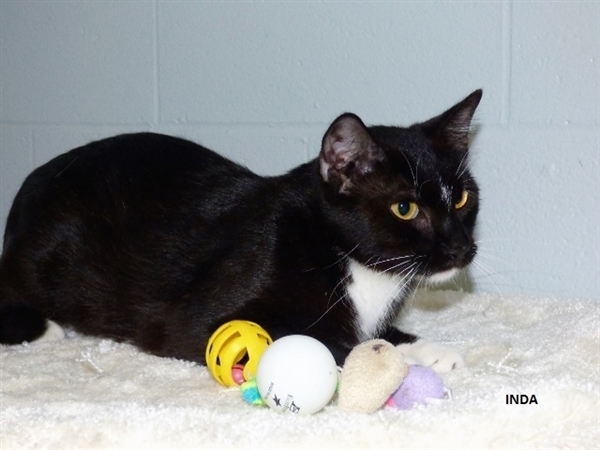 Primary Color: Tri Color Age: 0yrs 0mths 12wks I am available for adoption at the Animal Care Society. 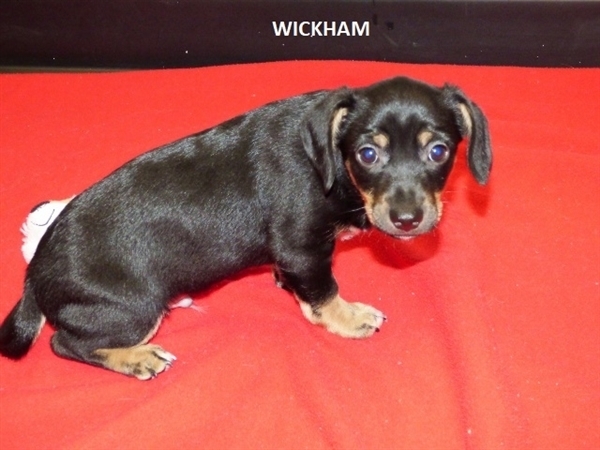 This little cutie and her sister were purchased around the beginning of March 2019 by a young lady who thought she was going to buy one Chiweenie. 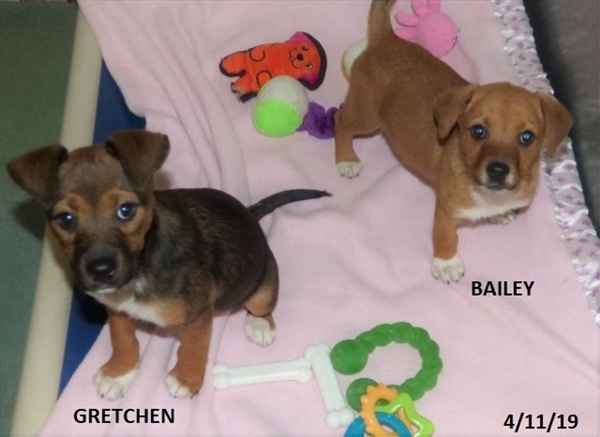 She was so taken by Bailey and Gretchen, that she purchased both pups. 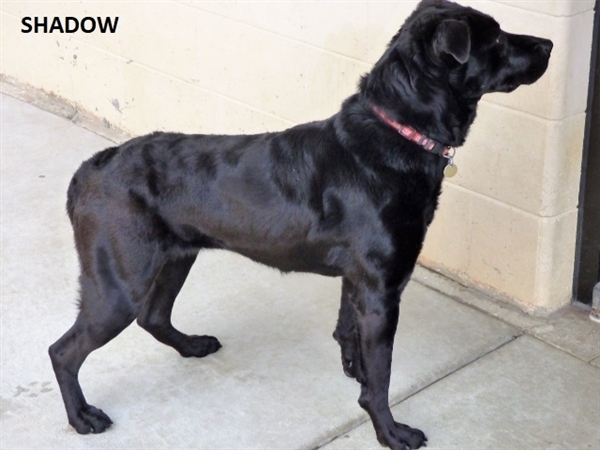 Unfortunately, when she realized there would be no one to care for the pups when she returned to school, she surrendered Bailey and Gretchen to us in early April 2019. 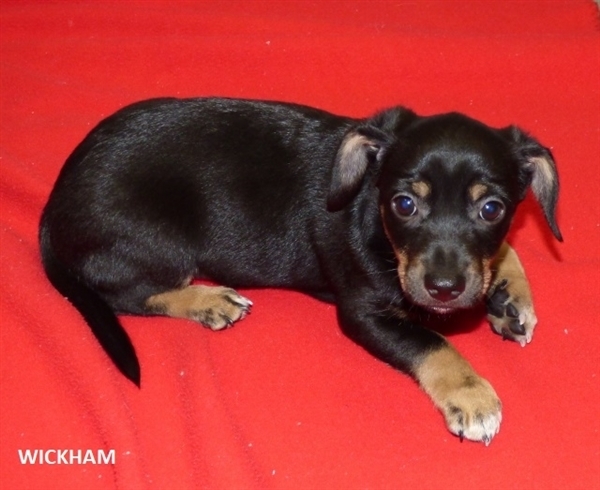 With her shorter legs and longer body, Bailey looks like she might be a Chiweenie but there's no way to know for sure. Nor can we predict how big she'll be as an adult. 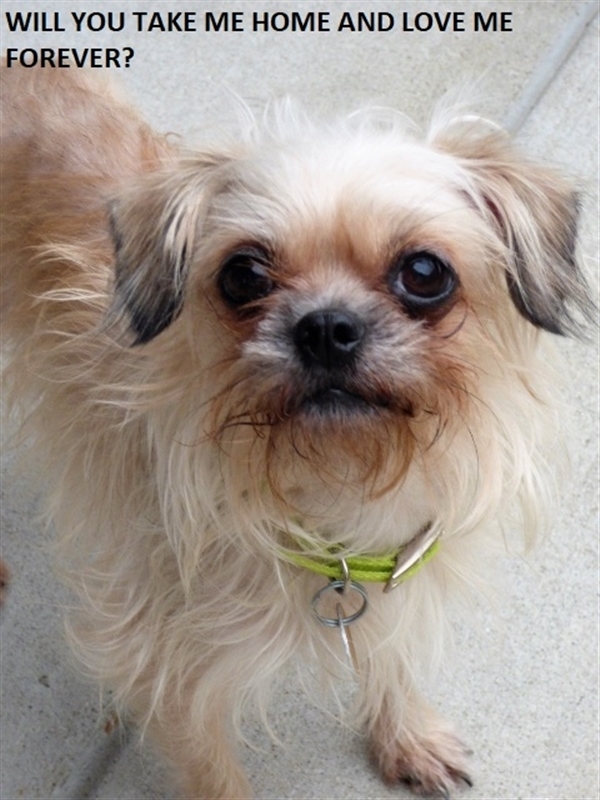 What we can tell you is that Bailey's just the sweetest little thing and loves, loves, loves attention! 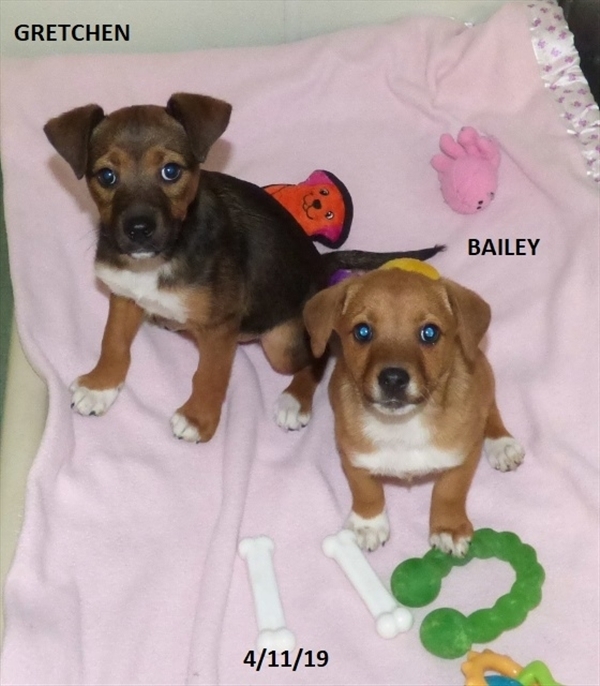 Like all young puppies, she has a lot to learn and will need an owner who has the experience, time and patience to help Bailey grow up to be a good canine citizen. The dog a puppy becomes is a direct reflection of how it was raised. If you work long hours, have a busy social schedule, or have never raised a puppy before, an older puppy or adult dog might be less of a challenge. While Bailey loves everyone, she's still too much in the scratching/nibbling phase to be placed in a home with children younger than five. Her razor-sharp claws and needle-sharp teeth can easily tear or puncture tender young skin even if Bailey is only wanting to play. A household with older children who are dog-savvy enough to not only treat Bailey gently but also help with her training would be a better fit. If you would like to give Bailey a loving and committed forever home, just submit an application through our website (www.animalcaresociety.org). Once we've worked your application, we will be back in touch with you. 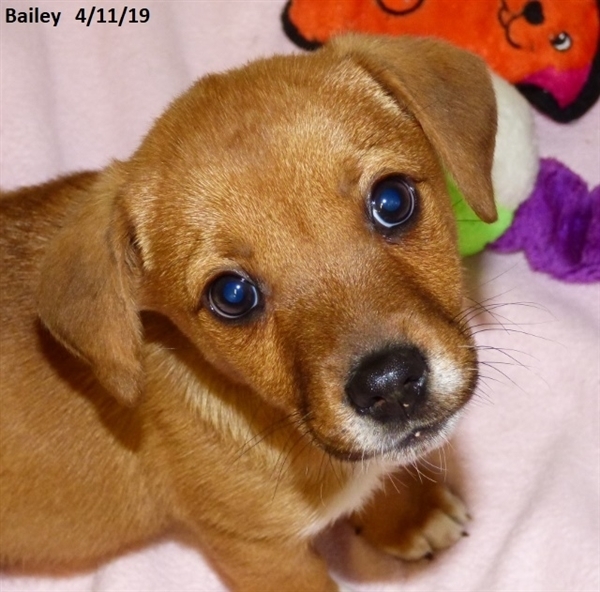 Please note that, because Bailey hasn't received all her puppy vaccinations yet, only applicants who have been contacted to schedule a 'meet and greet' will be allowed to meet Bailey at this time. We are also requiring that approved applicants be residents of Jefferson County if Bailey is adopted before she is old enough to be spayed. 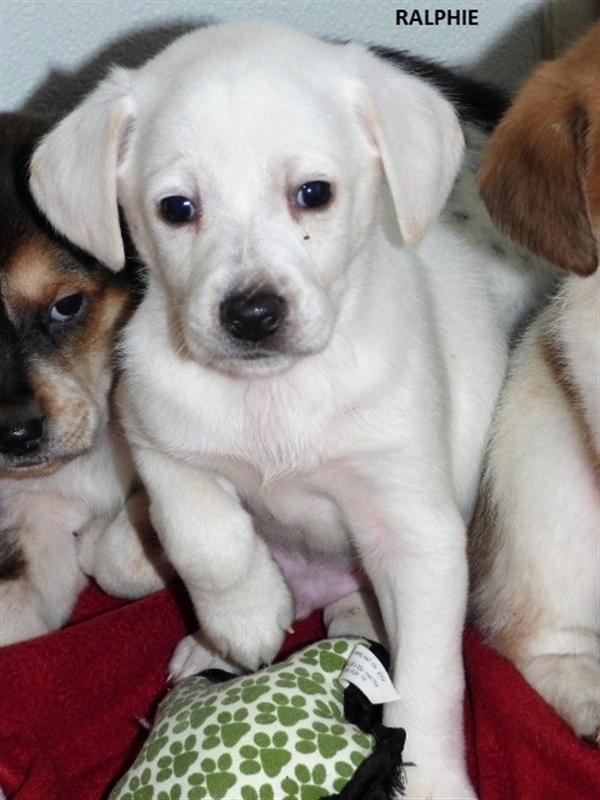 Primary Color: Red Gold Secondary Color: White Age: 0yrs 0mths 12wks I am available for adoption at the Animal Care Society. Meet Steffani! 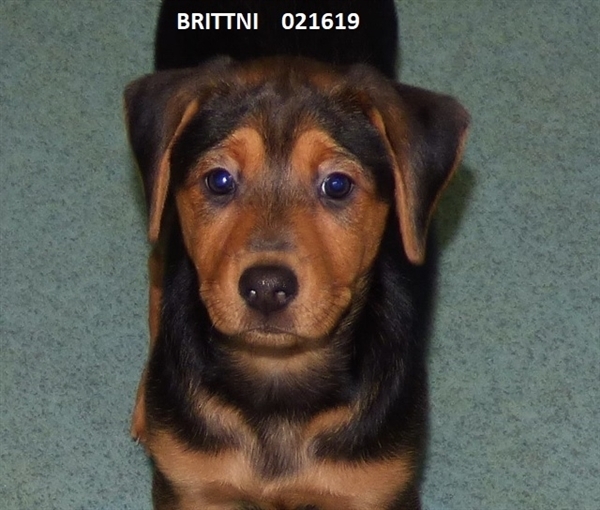 She and her sister, Brittni, were surrendered to ACS by a young man who had adopted their mother not knowing the dog was pregnant at the time. On Christmas day, his new furry family member presented him with five little babies. 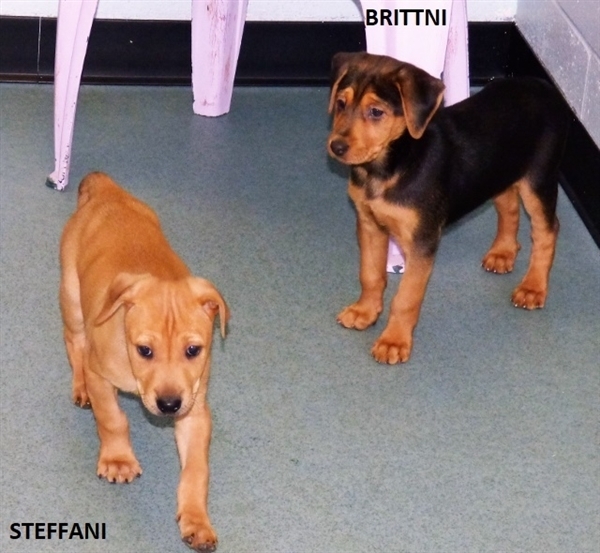 The young man was able to find homes for three of the pups and asked if we could take in Brittni and Steffani and find them homes. He told us that the momma dog was around 25-30 lbs and looked like a small Lab but the breed make-up of the daddy is a mystery. 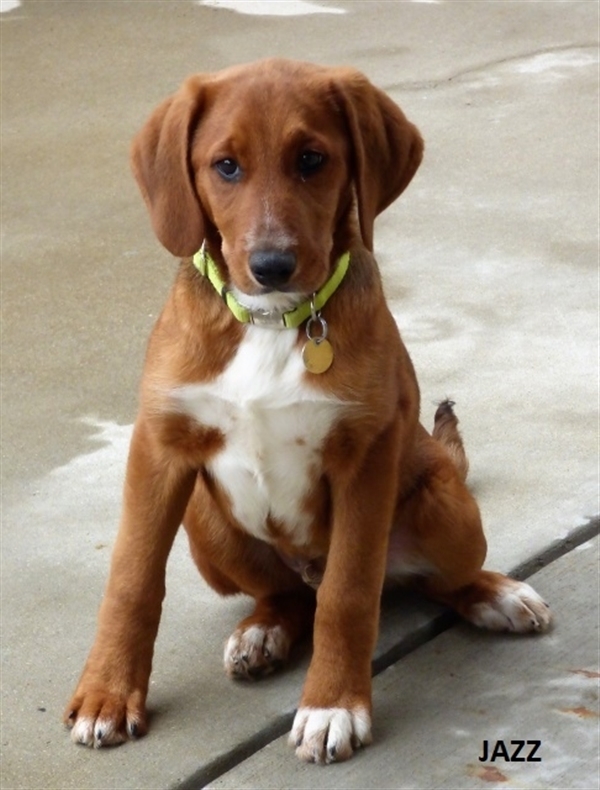 Judging from Steffani's coloring and conformation, we're guessing she takes after mom more than dad but there might be some possible Redbone Coonhound in her. 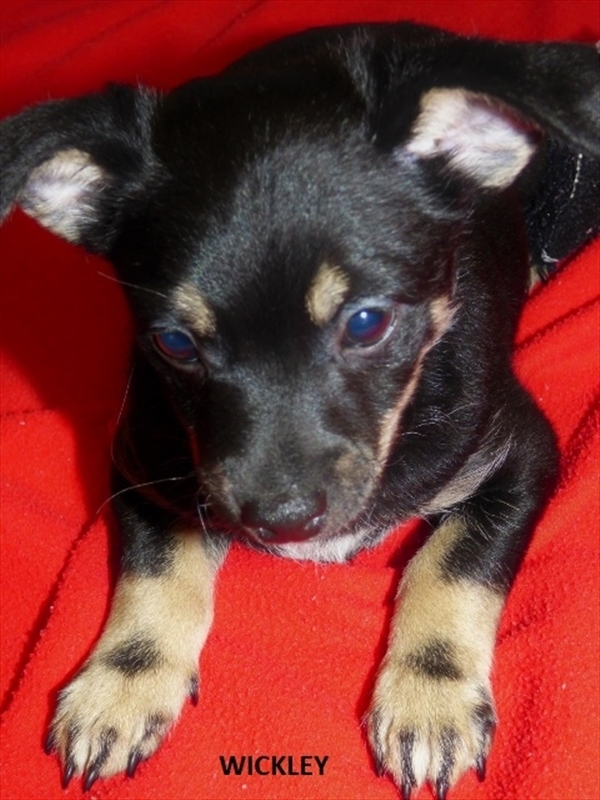 Steffani is a great little pup and is very sweet and loving. Of the two pups, she does seem to be a little more needy than her calmer and less vocal sister. Her former owner told us she was great with children but keep in mind that, as a young puppy, Steffani is still (and will be for several more months) in the chewing/biting/scratching stage. Although she doesn't mean any intentional harm, her needle-sharp teeth and razor-sharp nails can still inflict painful wounds. Growing up with a dog should be an enjoyable experience for a child so it is important that the age of the dog and the age of the child are compatible. 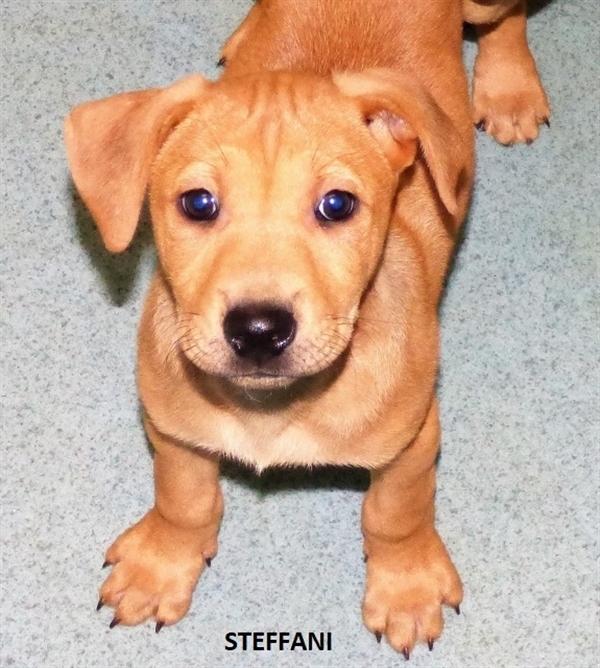 Steffani would do great with a family whose children are old enough to be dog-savvy and know how to deal with a rambunctious puppy with a lot to learn. A fenced yard is also a must for little Steffani as we suspect that nose of hers will get her into a lot of trouble if she's not safely confined when outside. 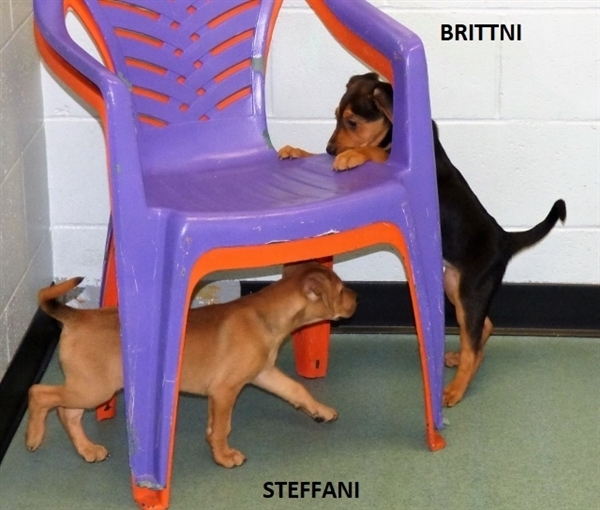 If you would like to give Steffani a loving and committed forever home and have the experience, time and patience for a pup, just stop by the shelter and ask to meet her! 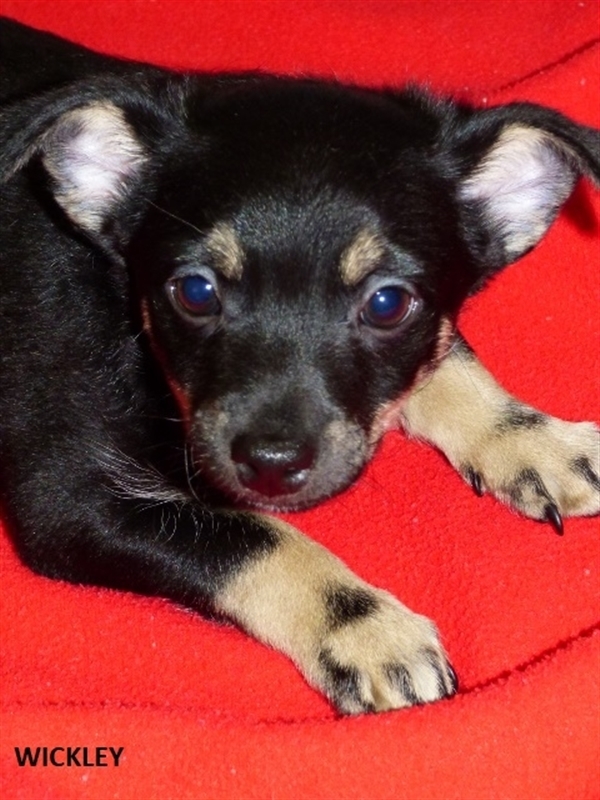 Primary Color: Red Gold Weight: 9.2lbs Age: 0yrs 3mths 3wks I am available for adoption at the Animal Care Society. 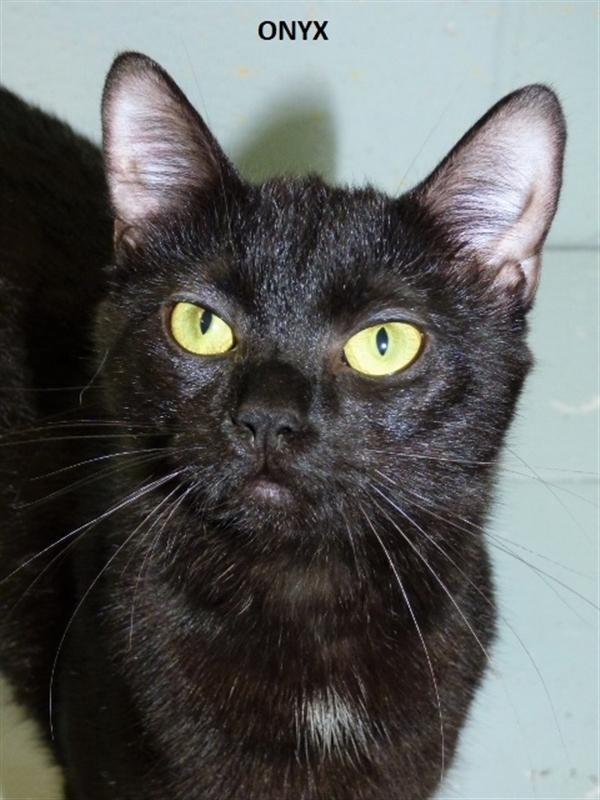 This sleek and ebony-coated green-eyed beauty is more than just a pretty face - Onyx has a 'pawsome purrsonality,' too! She loves attention (what pretty lady doesn't, right?) and will rub all over your hand purring like crazy. Onyx's estimated date of birth is October 2018 so she has lots and lots of time to give her adopter a whole lot of love and companionship! If you have room in your heart and home for Onyx, just stop by our shelter to fill out an application and spend some time with her. 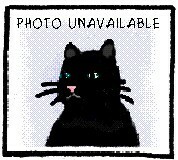 Primary Color: Black Weight: 6.92lbs Age: 0yrs 6mths 2wks Animal has been Spayed I am available for adoption at the Animal Care Society. 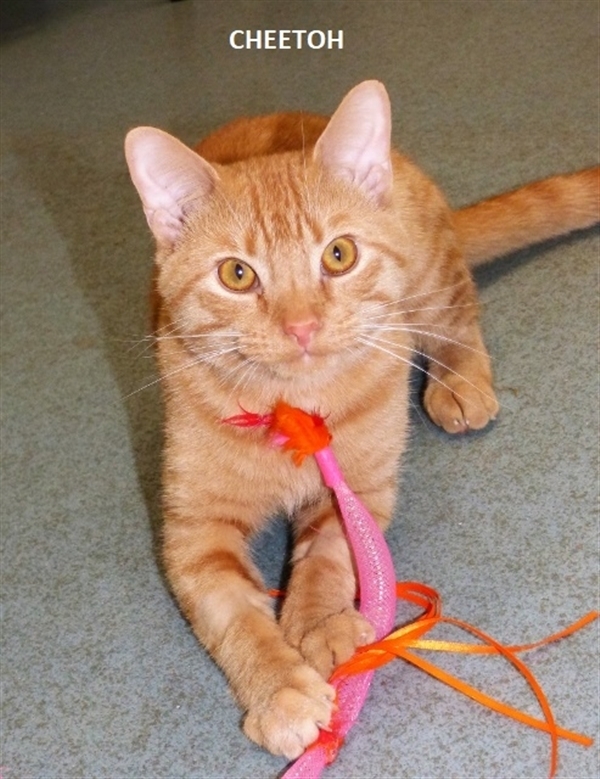 This handsome orange tabby caught our eye when we were checking out websites for other shelters. When we were told that Cheetoh was super sweet (aren't ALL orange tabbys?! ), we just knew we had to make room for him at ACS. Although he was a little unsure when he first arrived and wanted to hide behind his litterbox, Cheetoh would quickly come out of his hidey-hole to get some much-appreciated ear rubs and head scratches as soon as he saw you approaching. 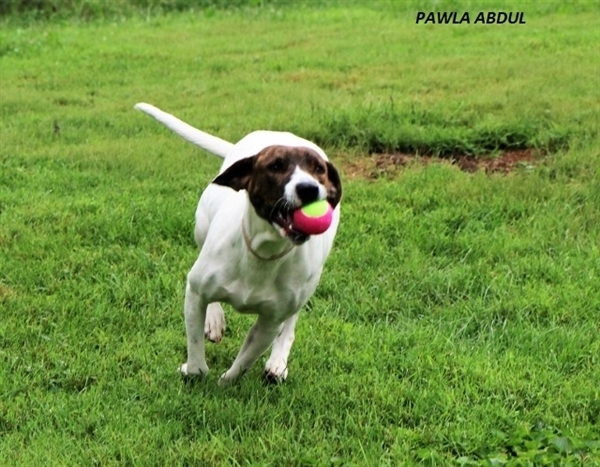 Estimated to be around one to two years old, he has many, many years of companionship to give his adopter. If you would like to give Cheetoh the loving and committed forever home he so desperately wants and deserves, then please stop by our shelter to fill out an application and spend some time with him. Even if you decide he's not the cat for you, he'll still be happy to reward your effort with lots of purring and love, feline-style! 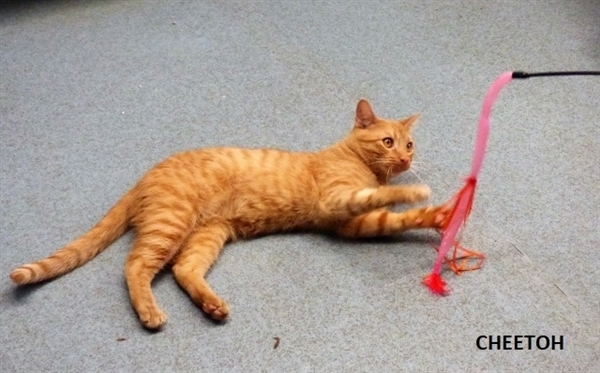 Primary Color: Orange Tabby Weight: 8.5lbs Age: 1yrs 6mths 2wks Animal has been Neutered I am available for adoption at the Animal Care Society.